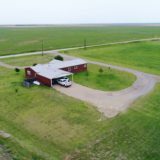 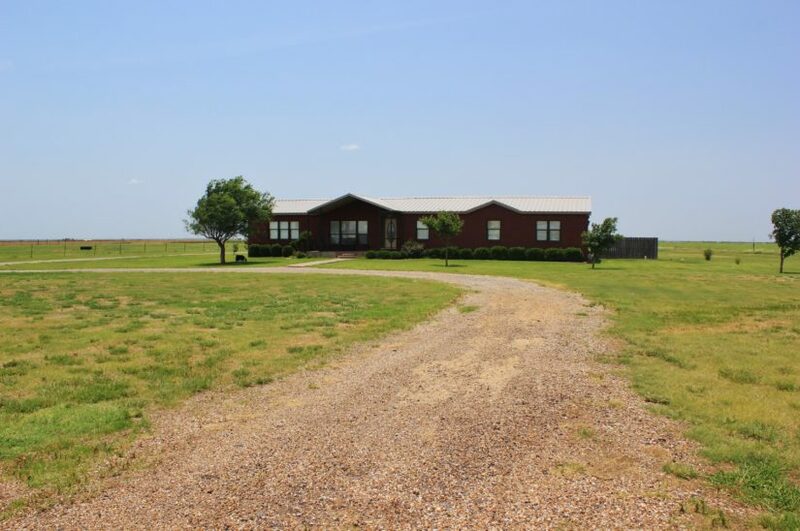 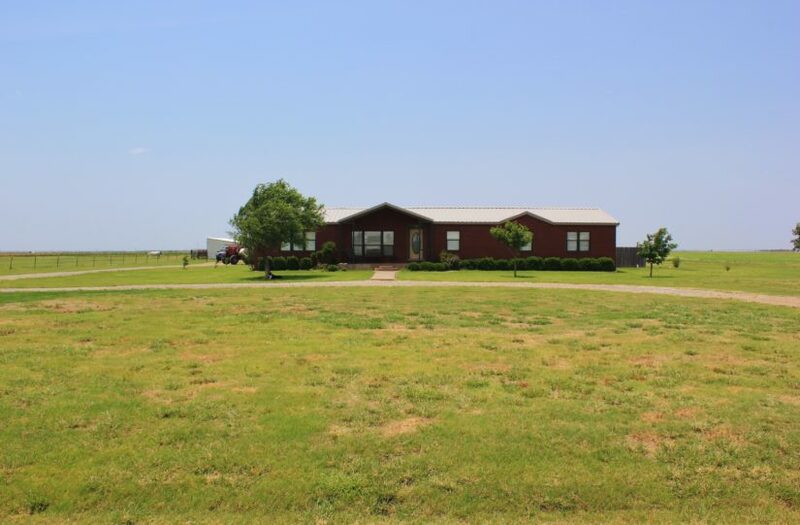 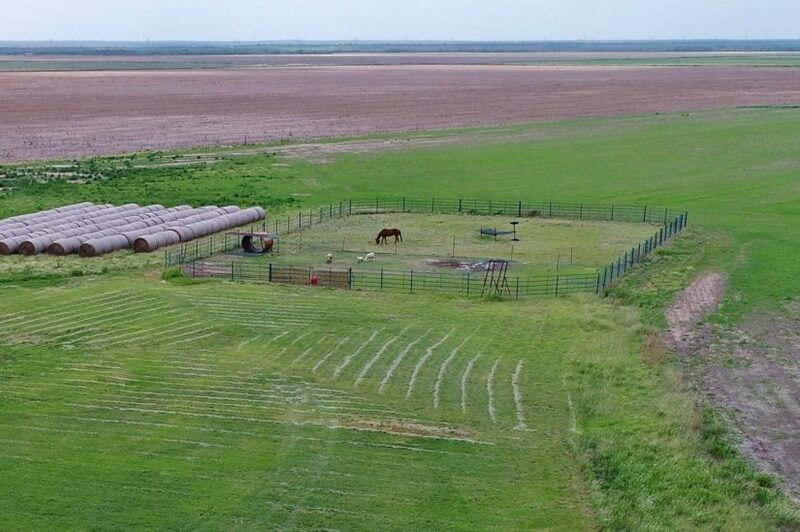 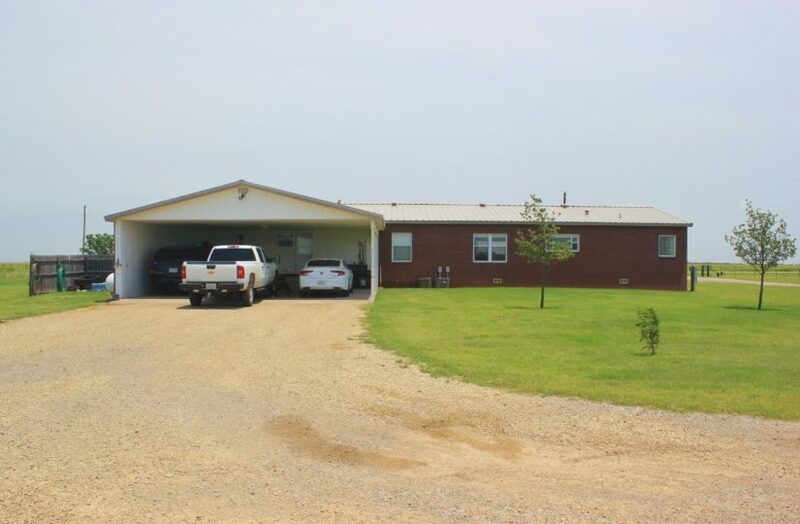 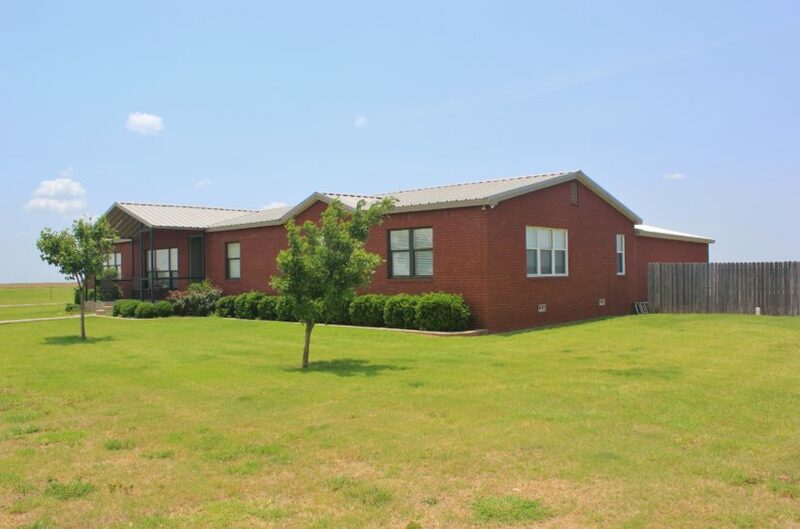 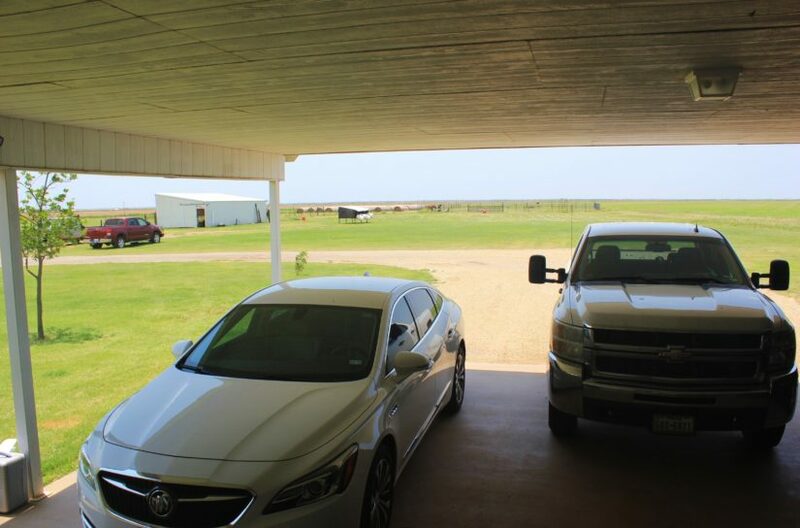 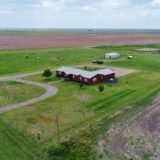 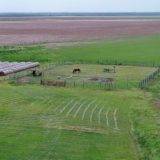 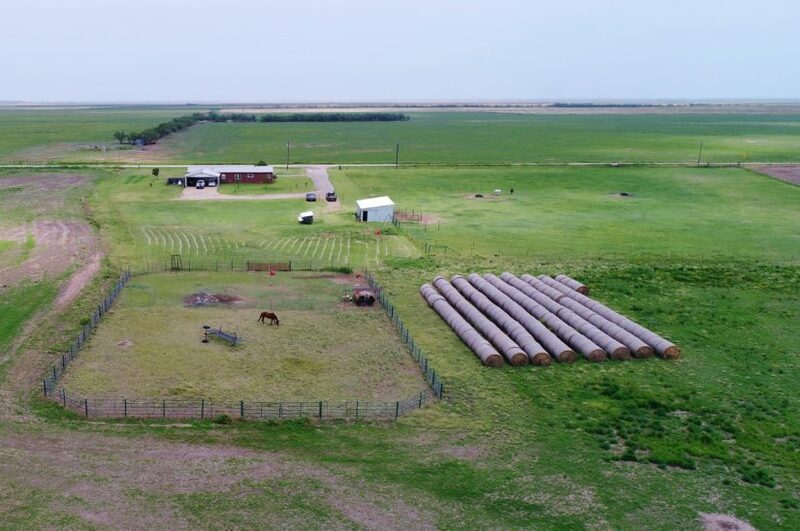 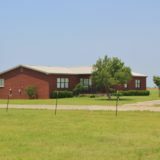 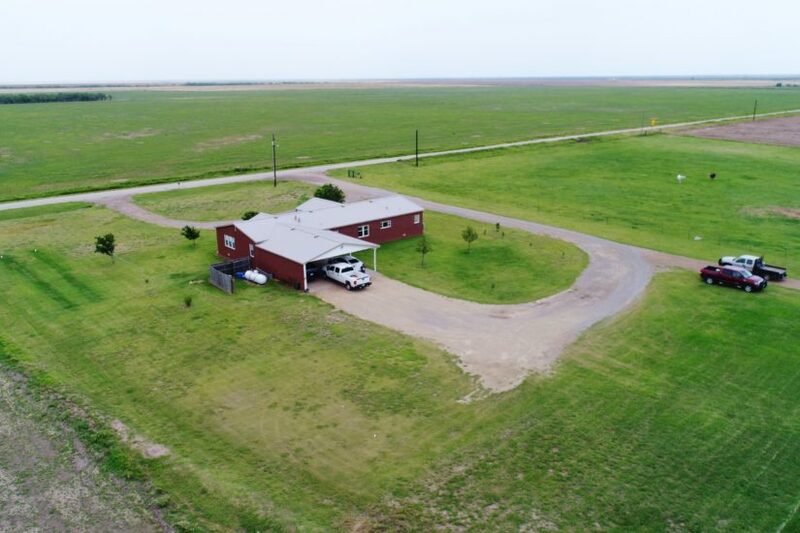 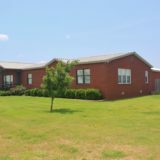 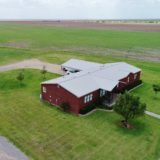 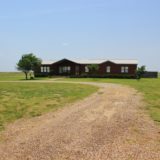 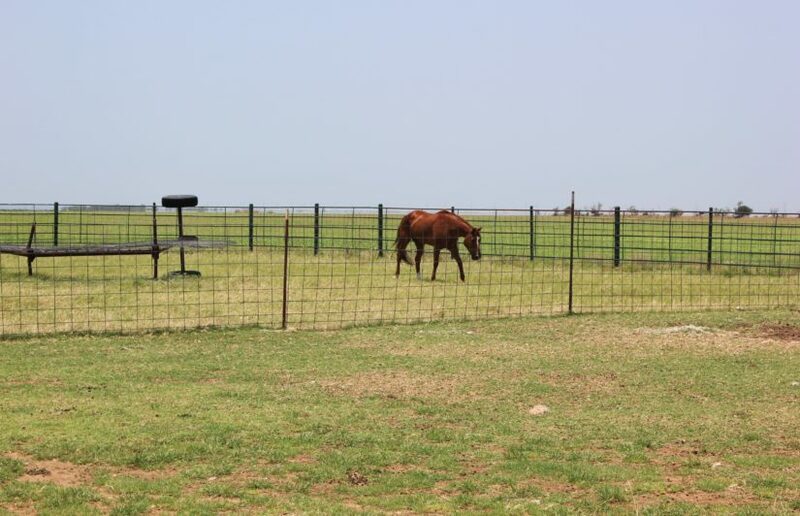 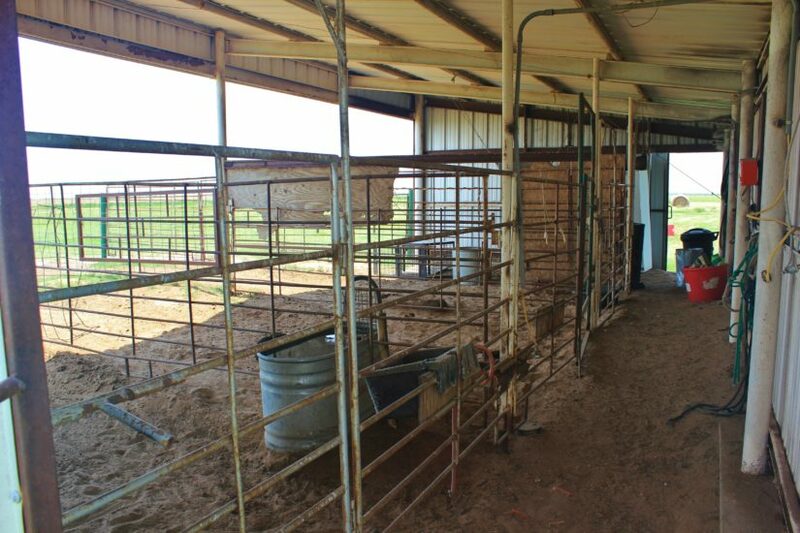 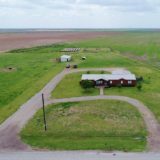 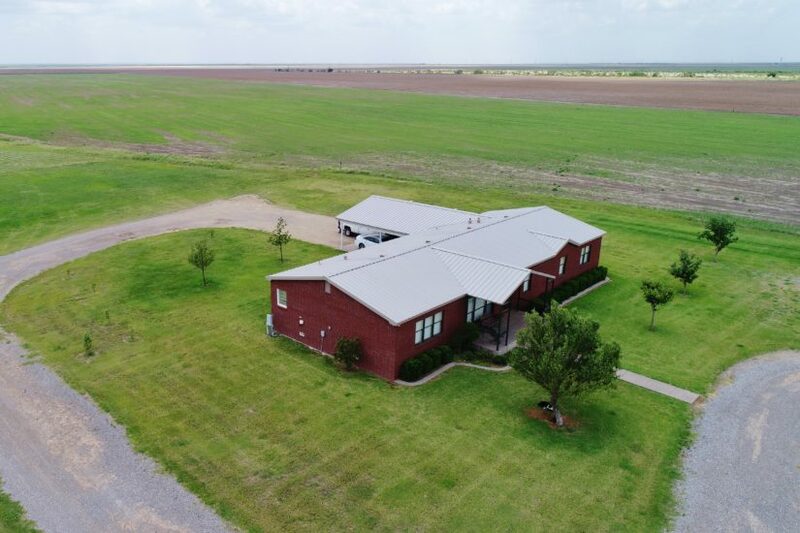 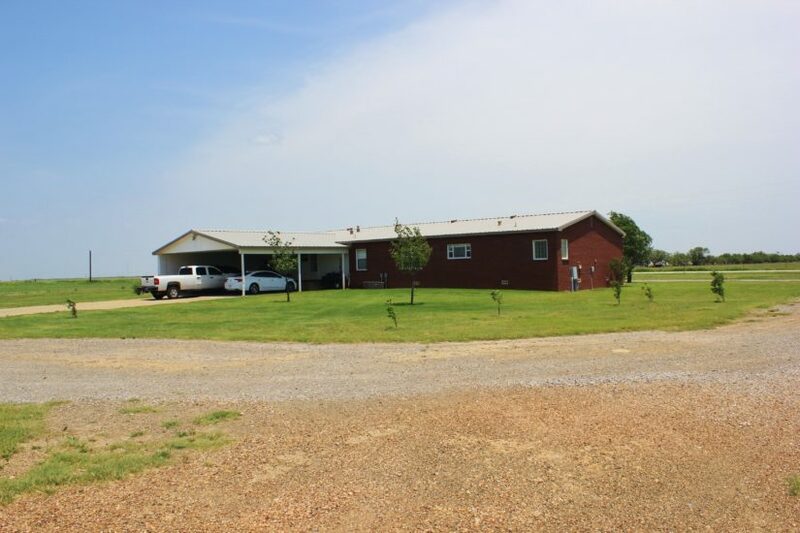 This country property is complete with a home, coastal pasture, horse pens and roping arena, all on 12 +/- acres of land! 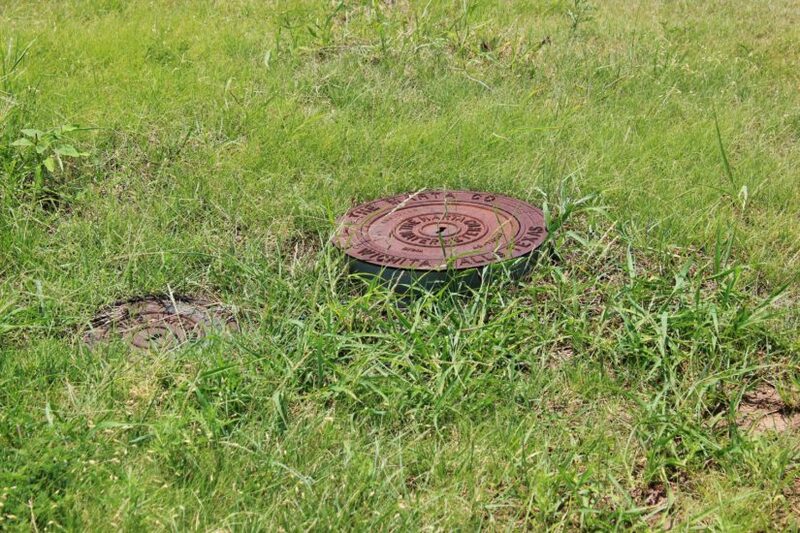 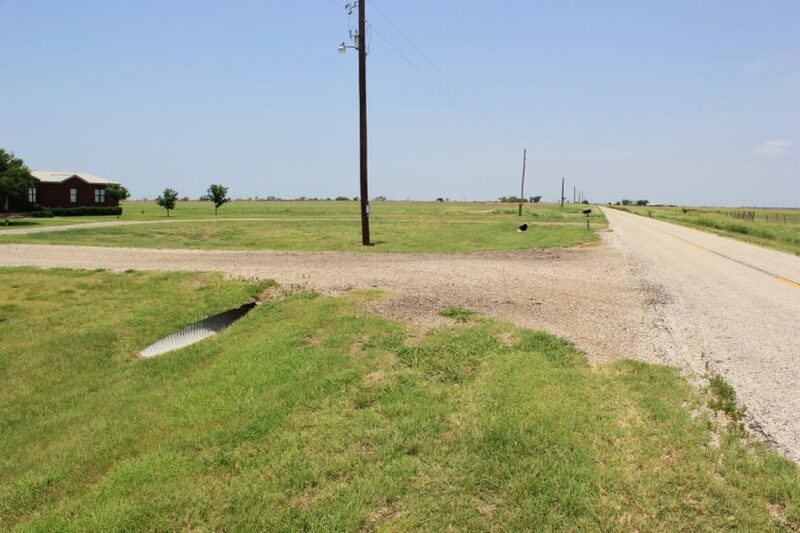 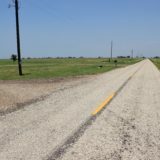 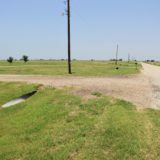 Located south of Thalia on FM 262, it has paved road frontage, city water, electricity and a septic system. 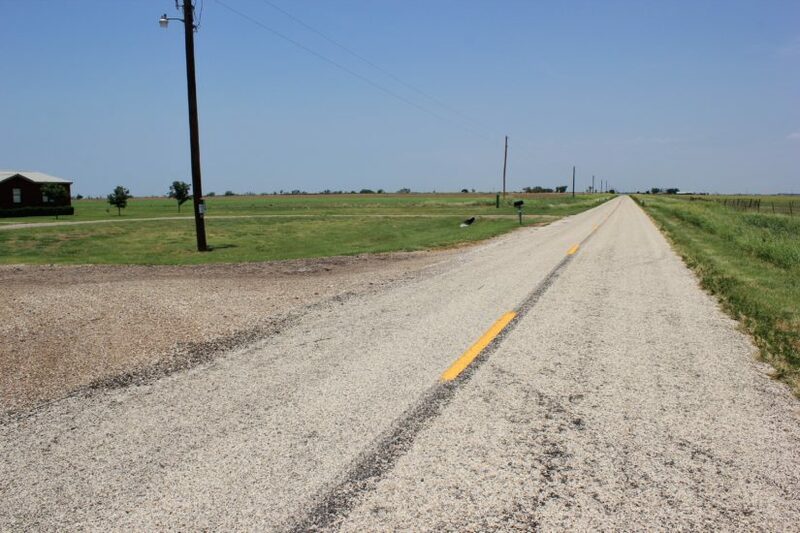 Foard County is located in northwest Texas. 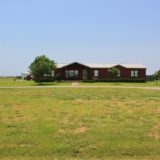 The subject property is about 15 minutes to the town of Crowell (pop. 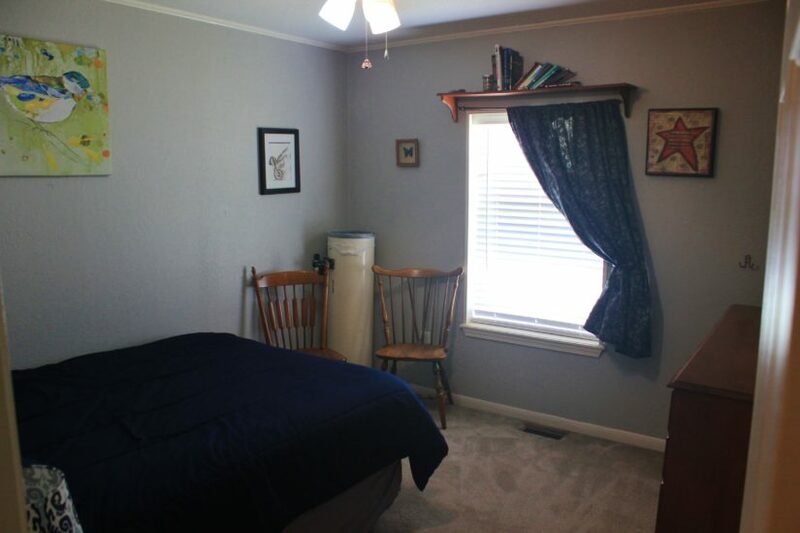 840, county seat) and 20 minutes to Vernon (pop. 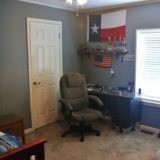 10,461). 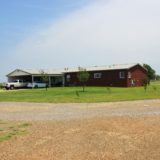 Crowell has several unique restaurants, a clinic, pharmacy and grocery store. 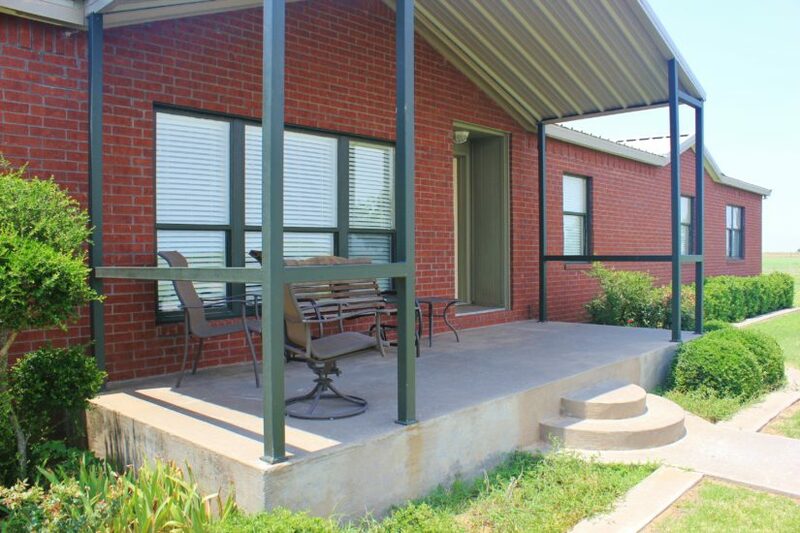 Vernon has a Walmart, hospital with Level IV ER unit, weekly farmer’s market, feed store and community college. 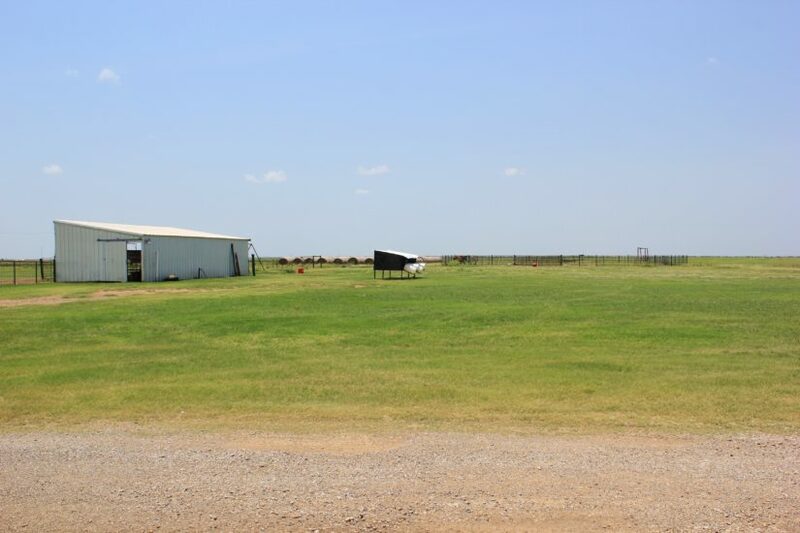 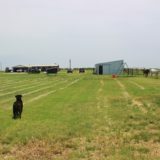 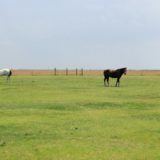 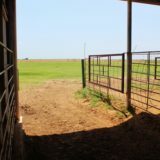 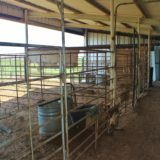 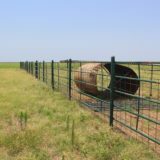 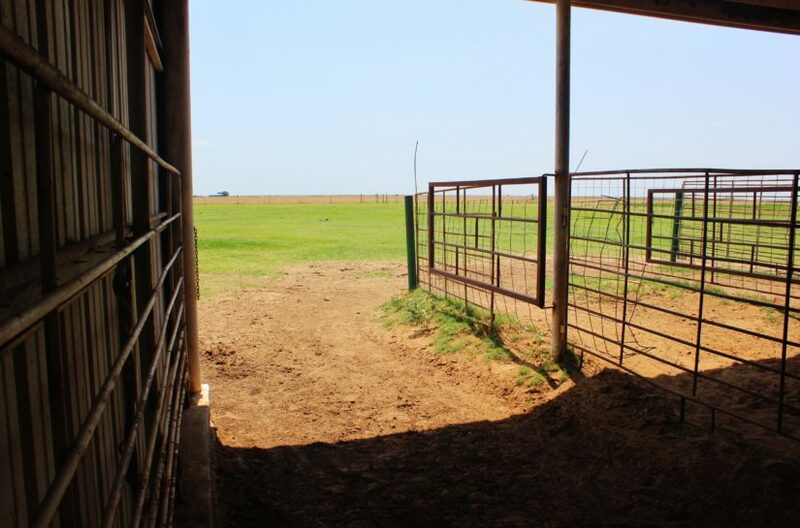 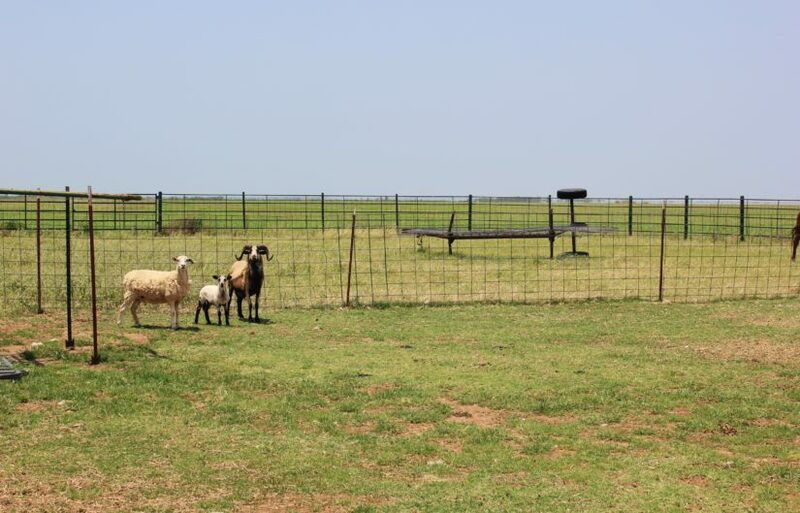 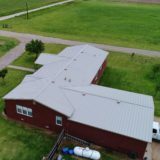 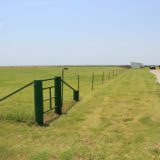 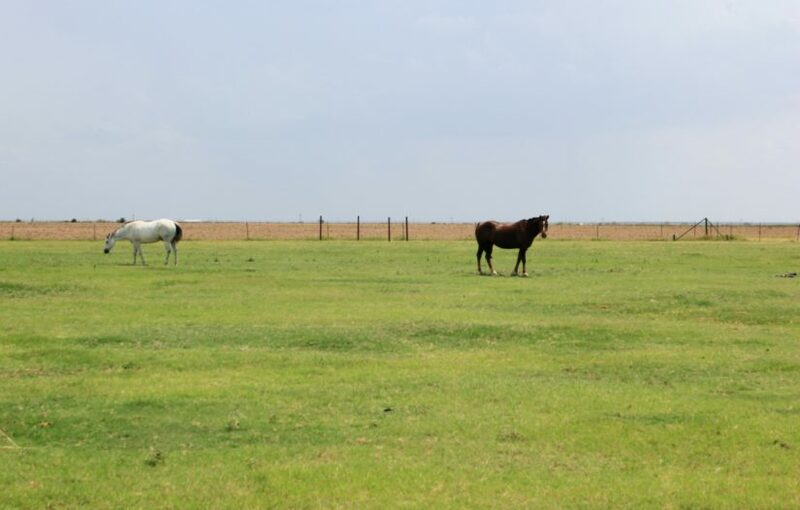 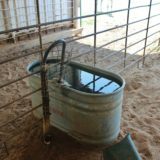 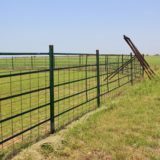 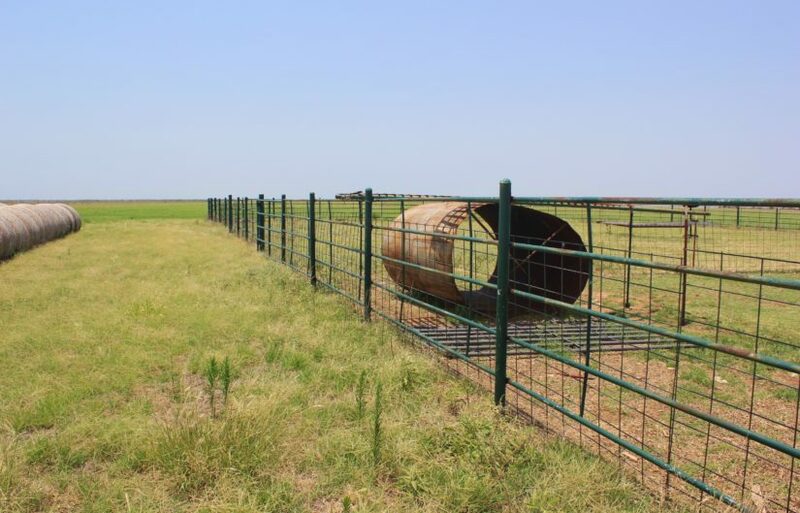 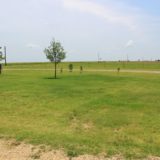 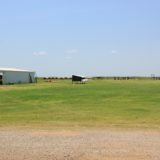 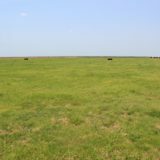 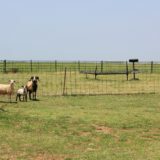 The property is surrounded by other productive farms and is just 1.5 miles from the historic 510,000 acre Waggoner Ranch. 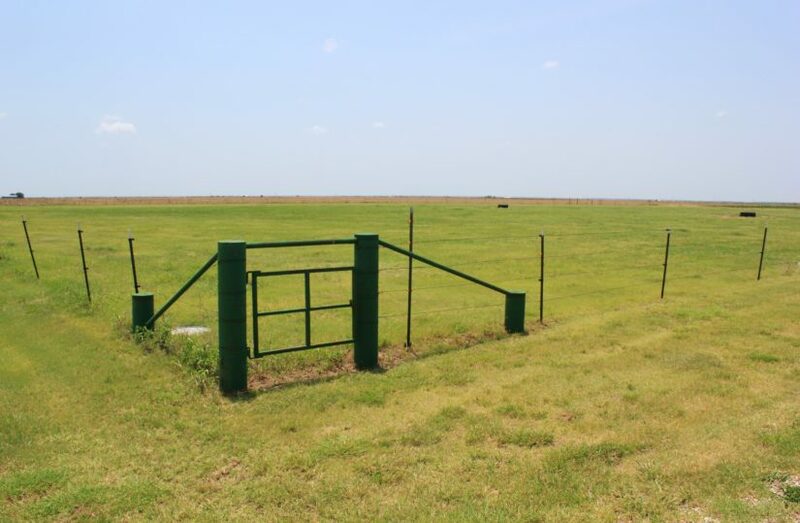 You won’t find any subdivisions or developments out this way – if you’re looking for peace and quiet, you’ll find it here! 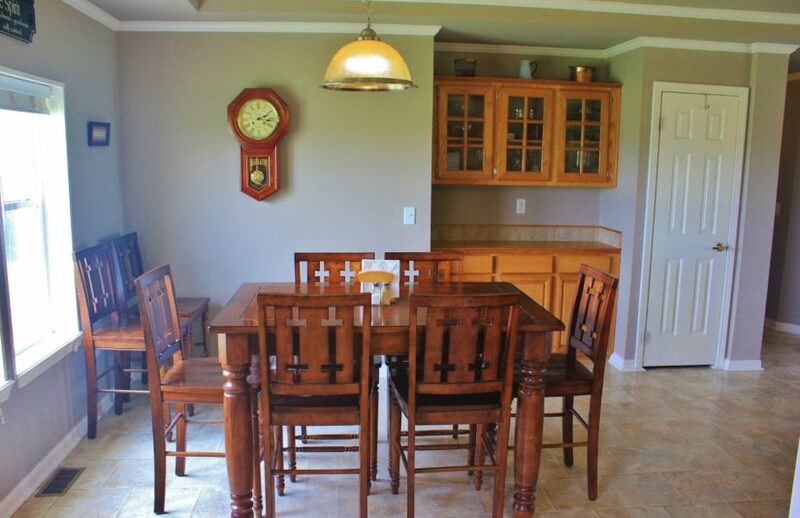 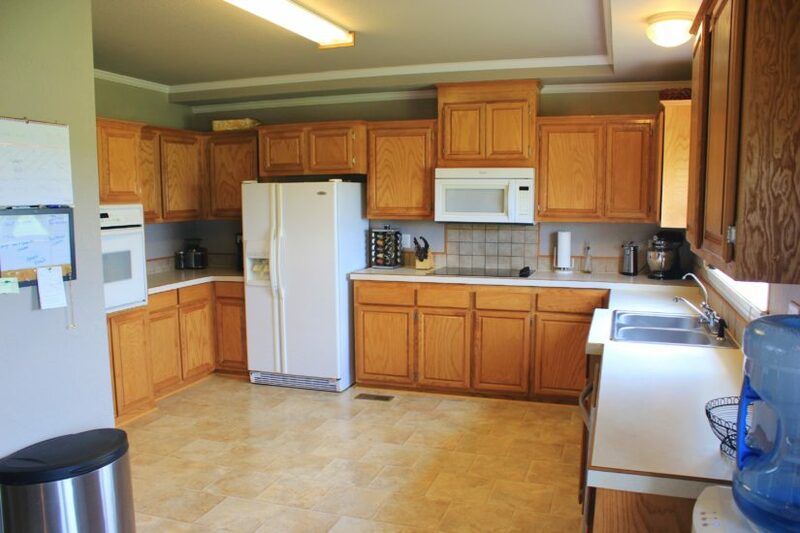 The home is a 2004 Solitaire in excellent condition. 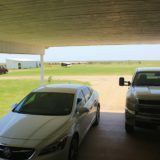 The owner bought it new and attached it to the land straight from the dealer. 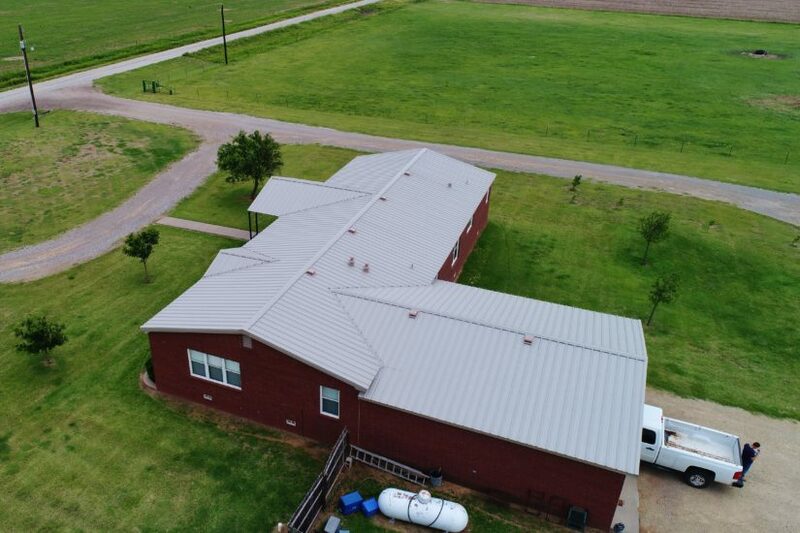 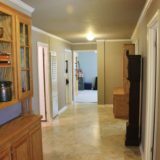 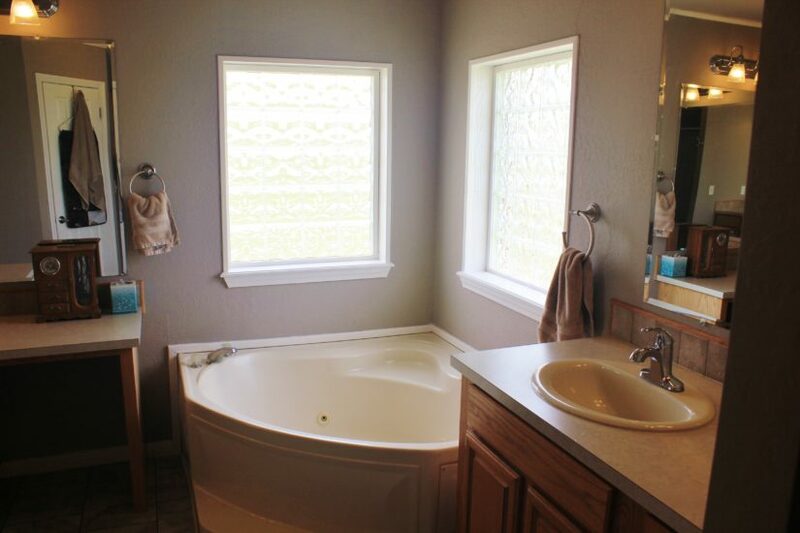 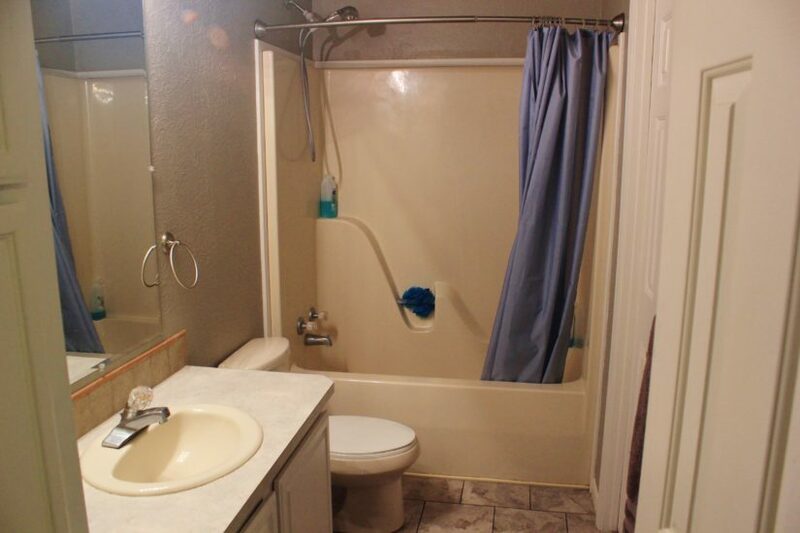 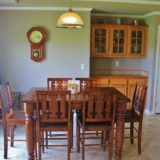 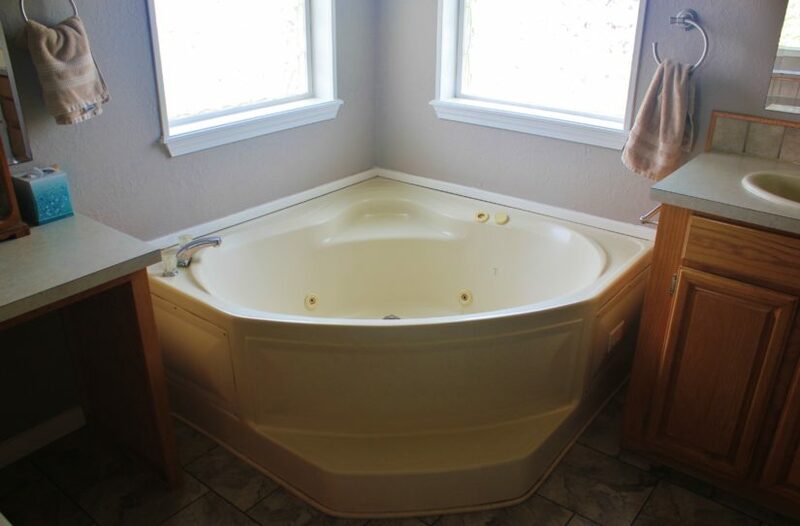 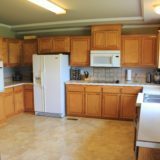 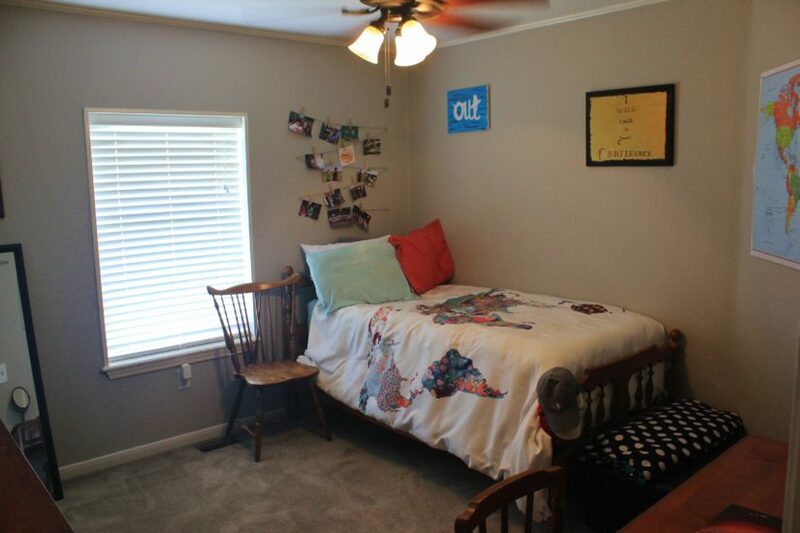 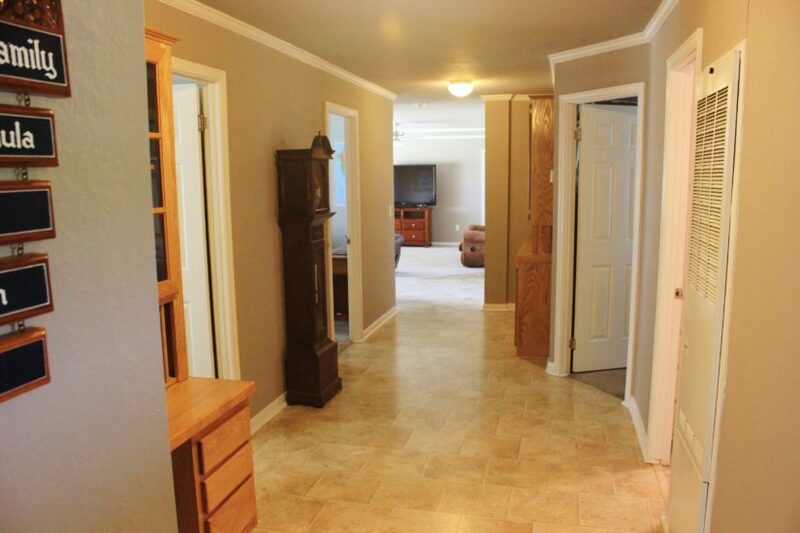 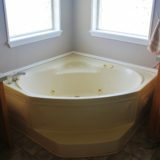 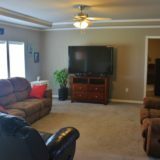 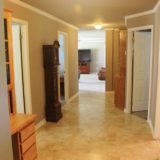 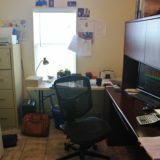 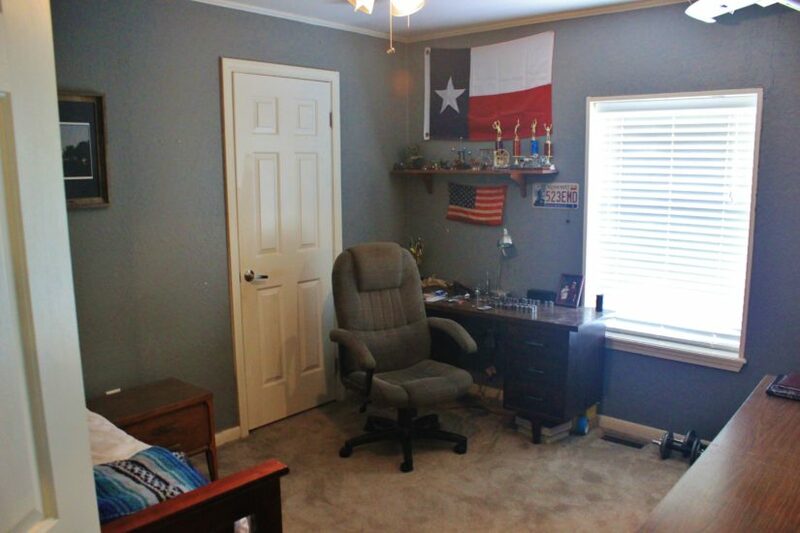 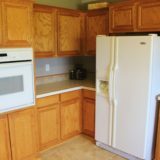 It has four bedrooms and two full bathrooms, plus there is a utility room, office and large game room in the back that can act as a 5th bedroom. 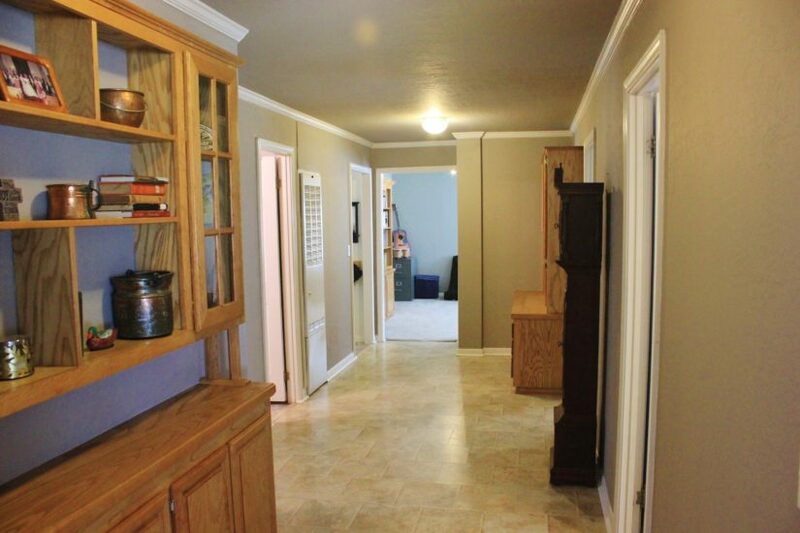 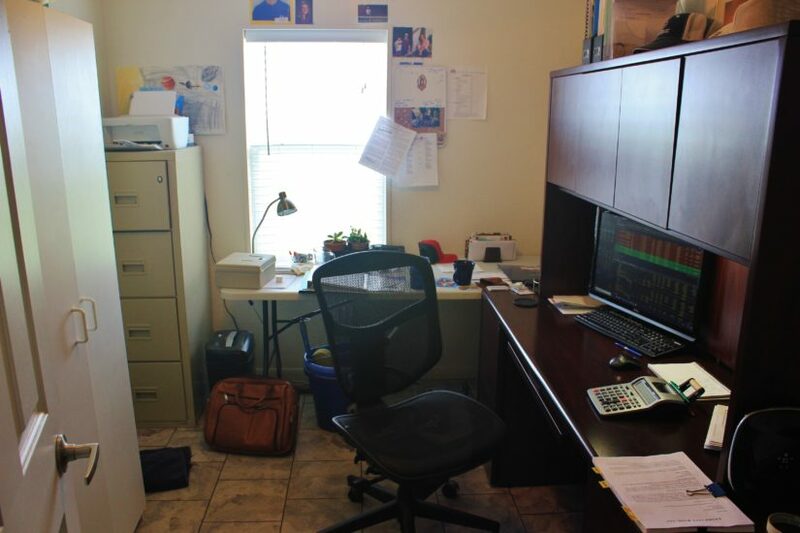 It has 2,560 sq ft of space (32′ x 80′). 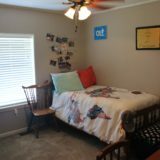 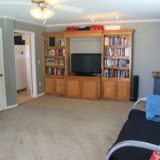 The flooring is carpet in the bedrooms and living room, and vinyl in the kitchen/dining room/hallway and bathrooms/utility room. 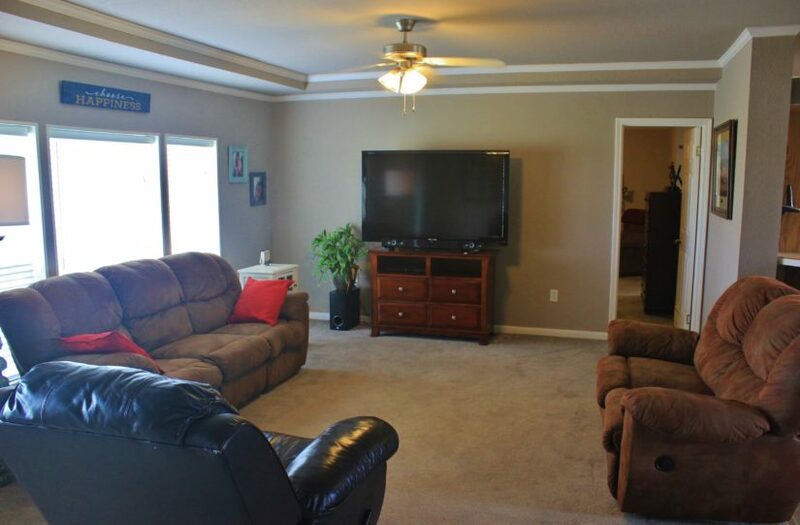 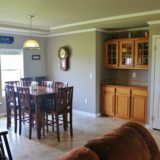 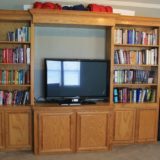 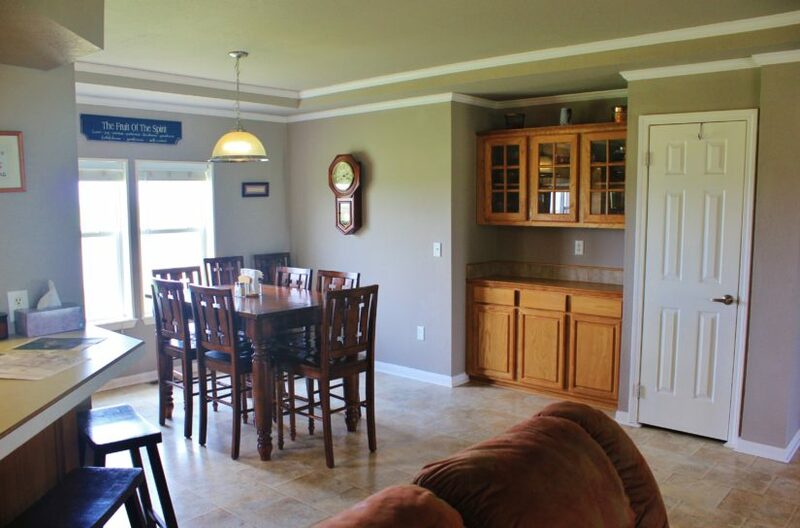 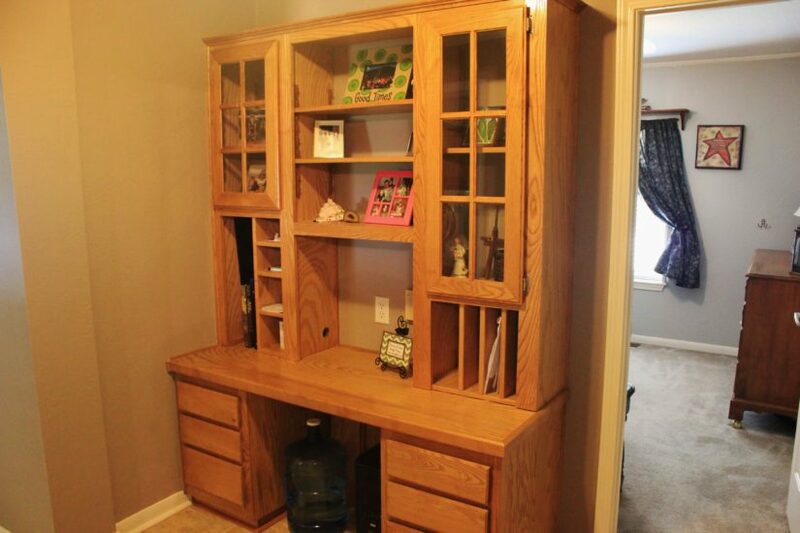 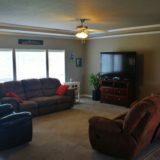 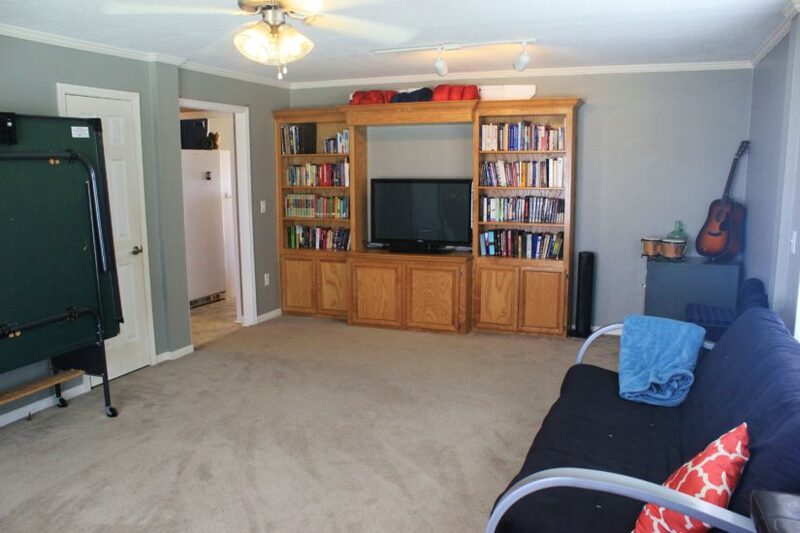 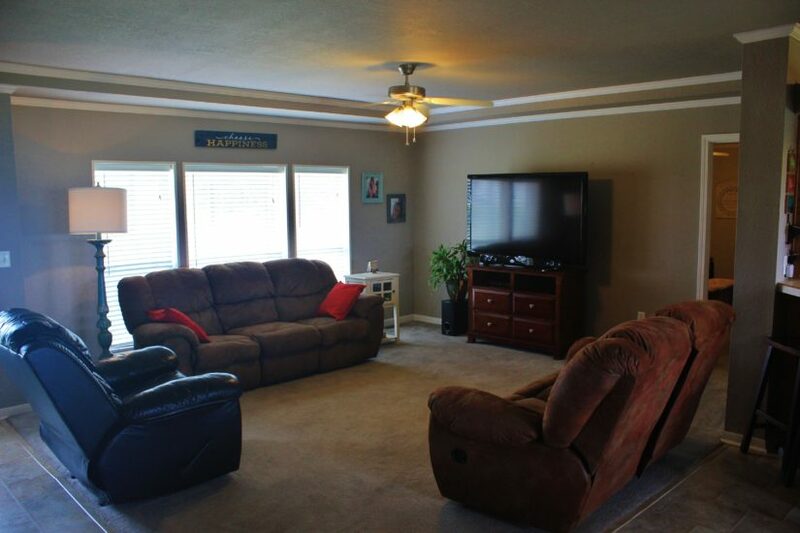 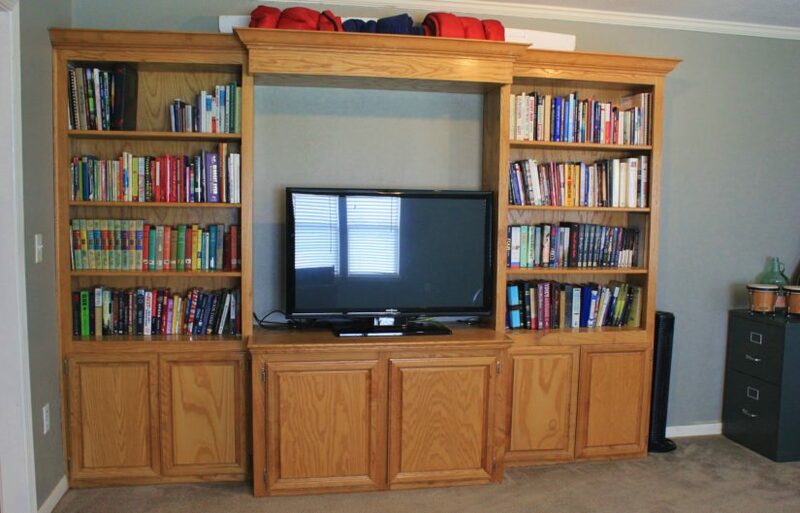 The home has some nice extras as well, like built in shelving, an entertainment center and a bar off of the living room. 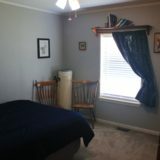 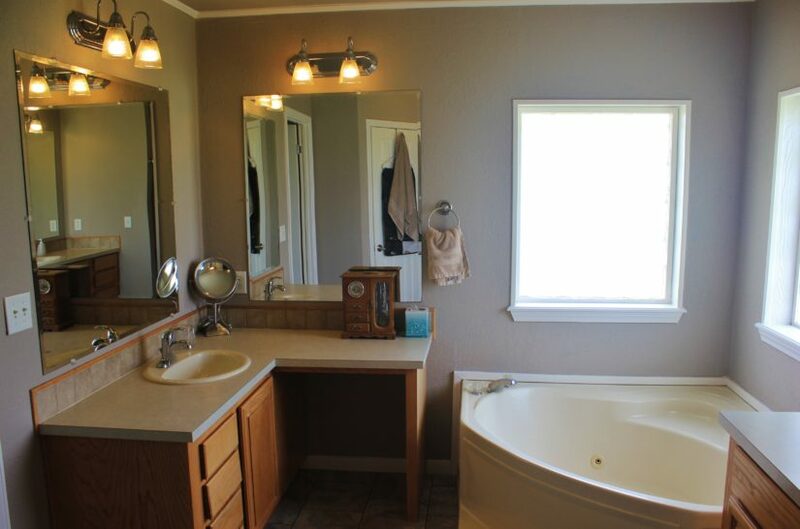 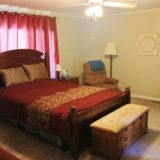 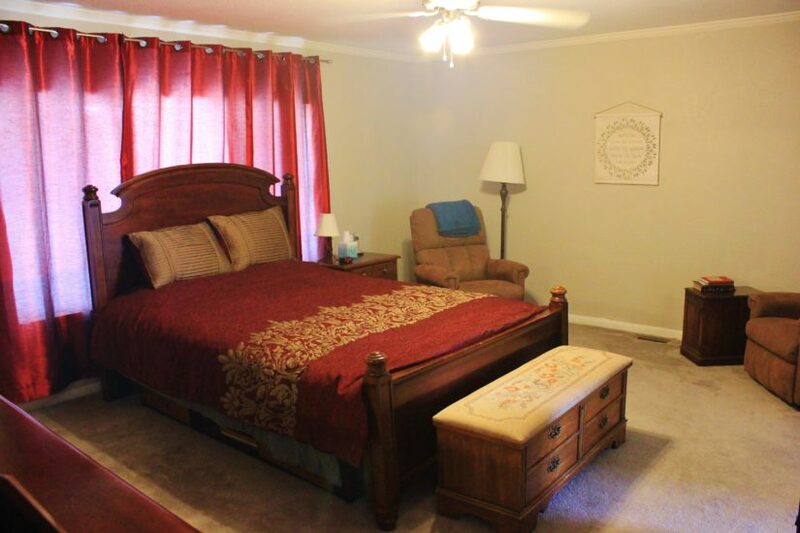 The master suite is on the opposite end of the house from the other bedrooms and has a large bathroom with two walk in closets, two vanity sink areas, walk in shower and jetted soaking tub. 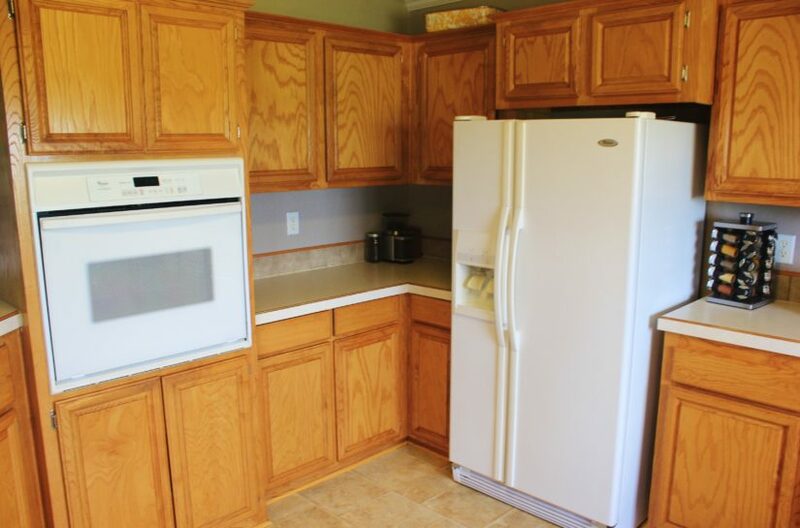 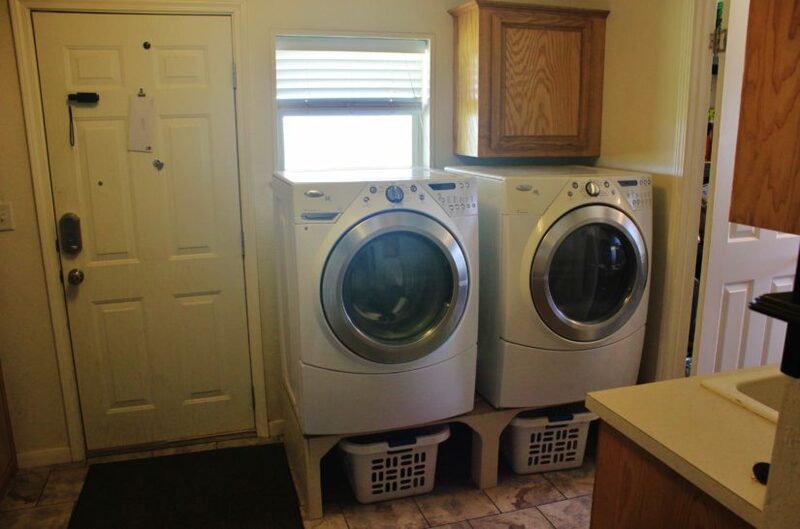 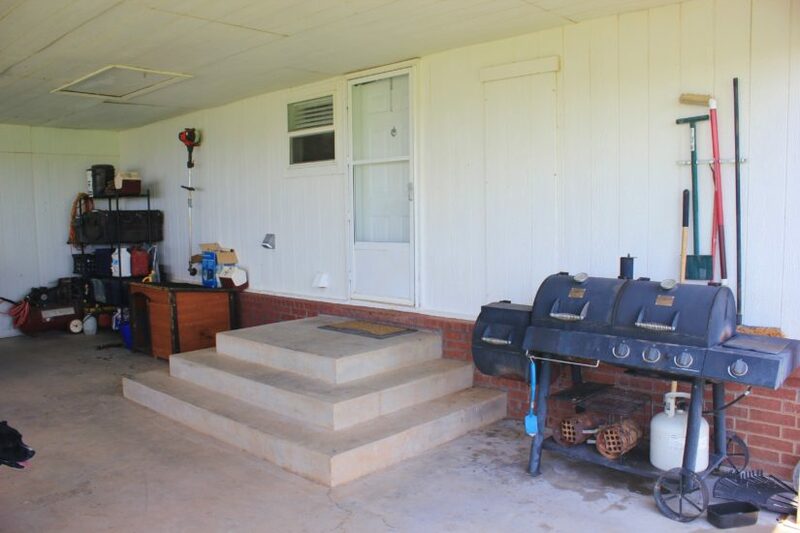 The home also has two AC units. 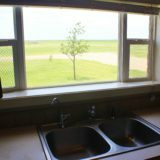 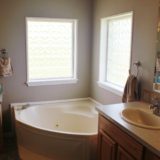 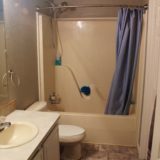 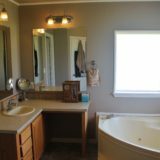 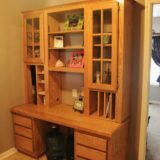 The owner has upgraded the home in multiple ways. 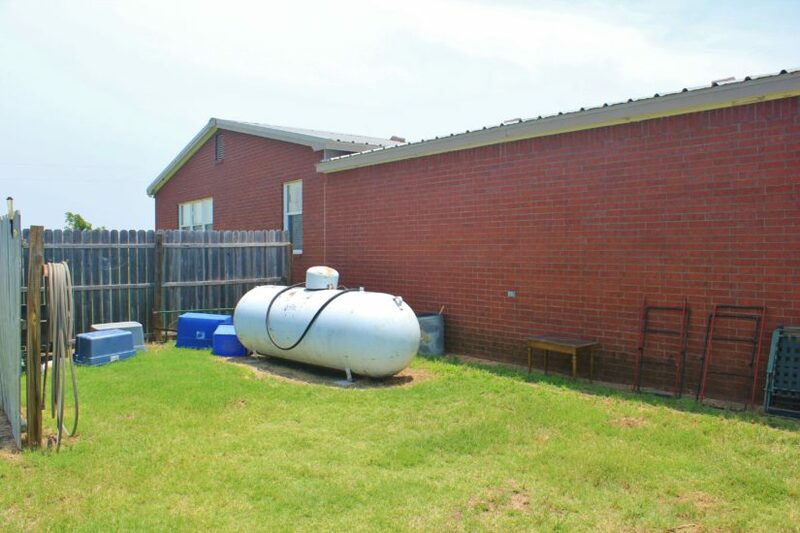 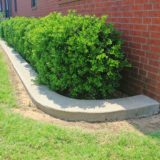 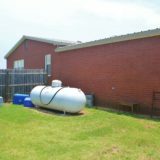 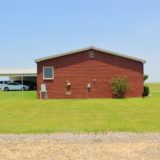 Upon installing the home on the land, he sprayed additional insulation and bricked the exterior. 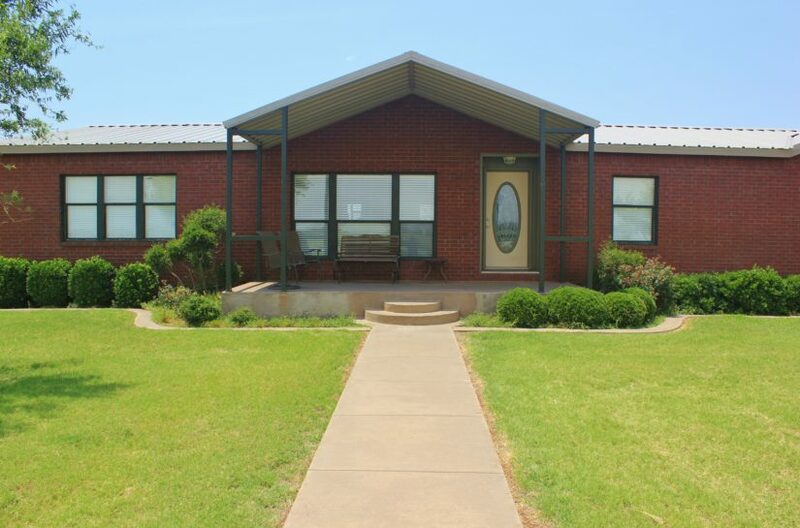 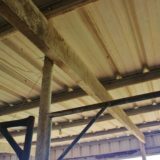 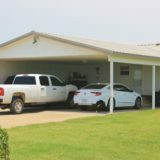 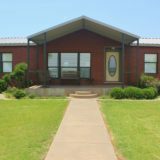 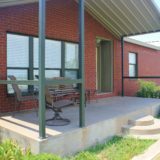 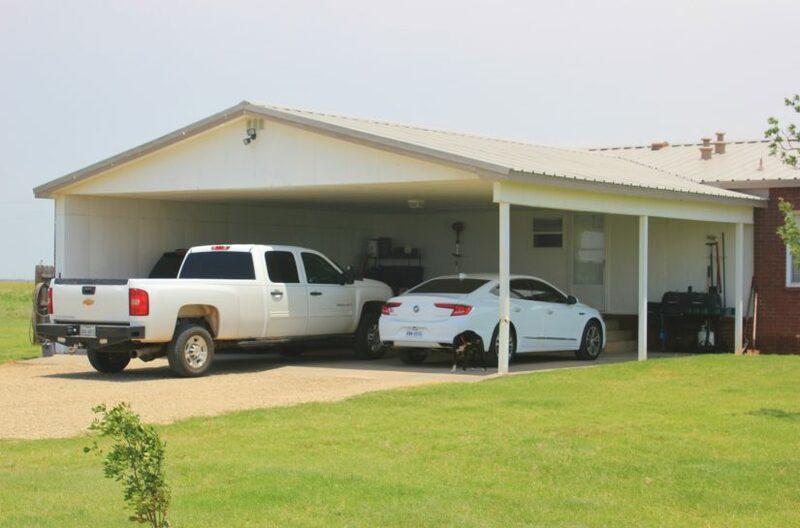 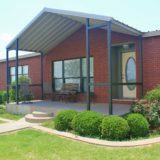 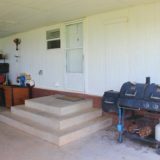 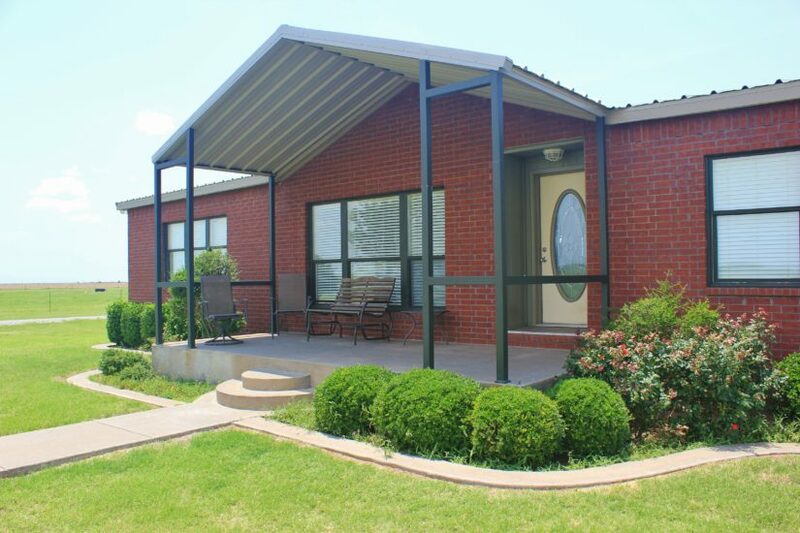 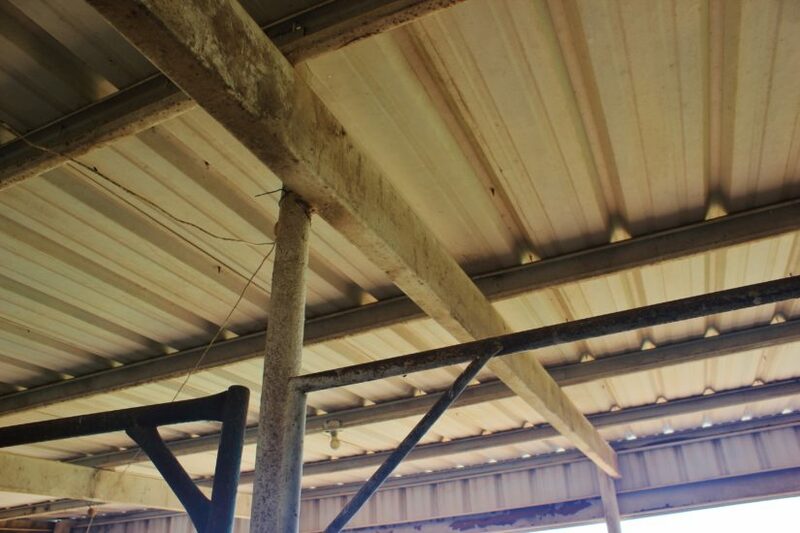 Then a three car carport (30′ x 30′) and covered front porch was built and metal roof was added to the whole structure. 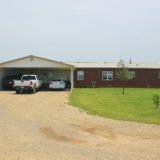 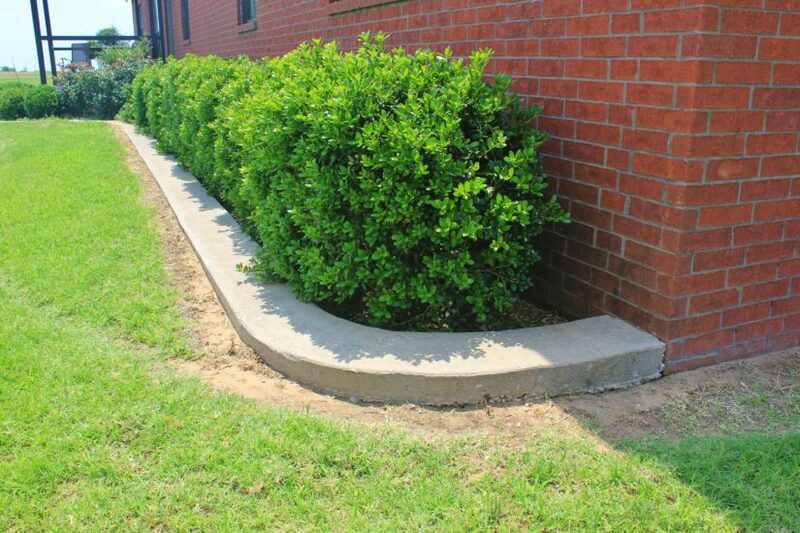 They poured concrete parking under the carport, porches, sidewalks and flowerbed curbing, and brought in gravel for the driveways Several trees were also planted around the house, which will provide some really nice shade when mature. 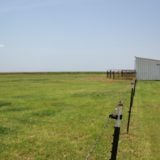 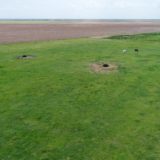 To the south of the house, the owner fenced off a 4.6 acre coastal pasture for horses. 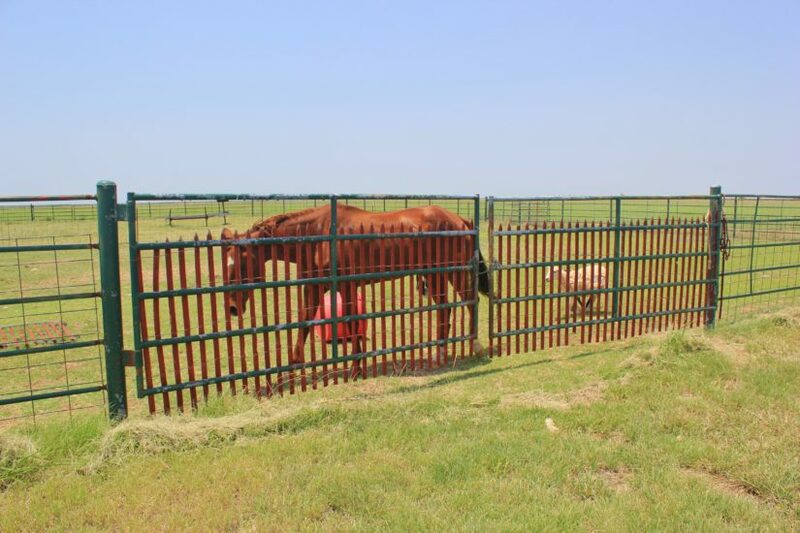 The fence has metal t-posts, pipe corners and gates, and barbless galvanized wire. 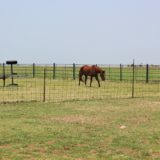 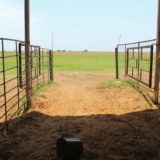 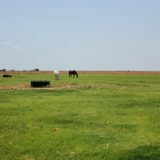 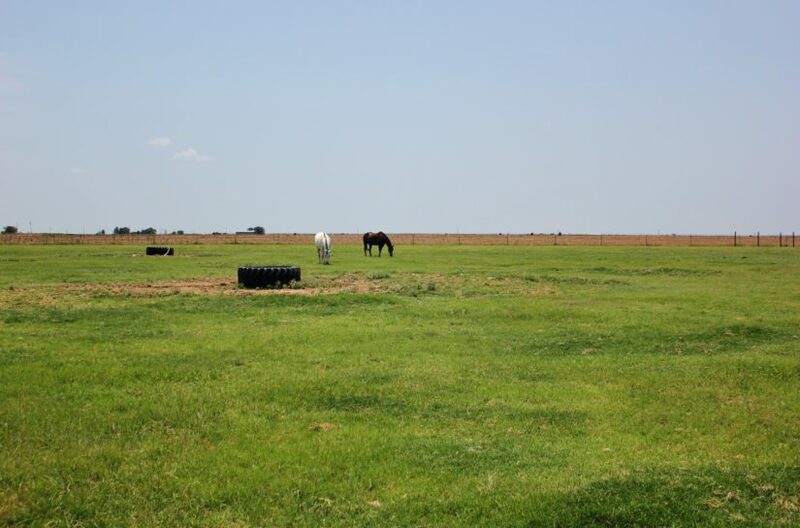 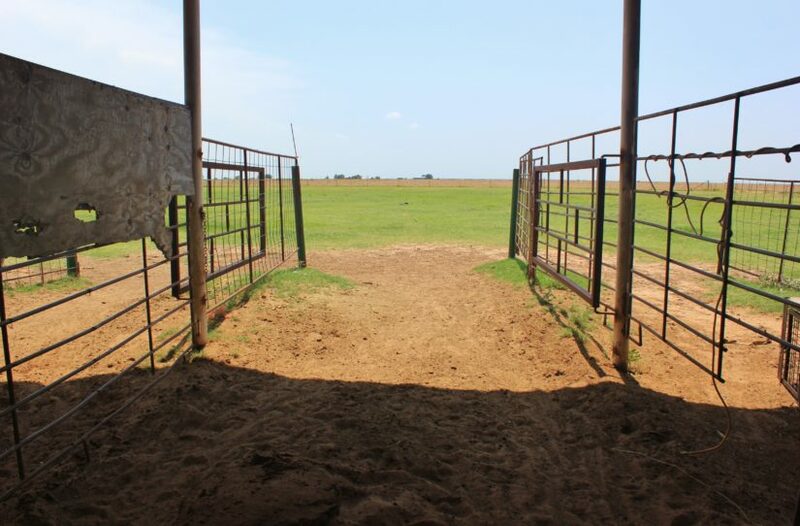 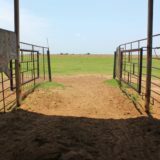 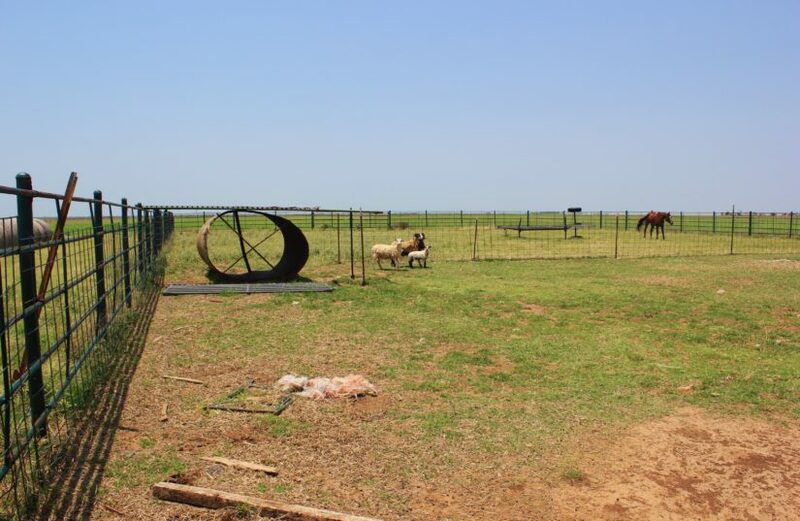 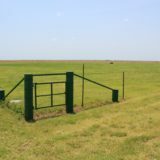 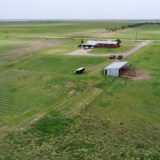 A metal loafing shed with four horse pens was built that opens up to this pasture. 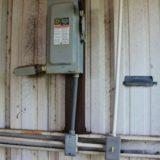 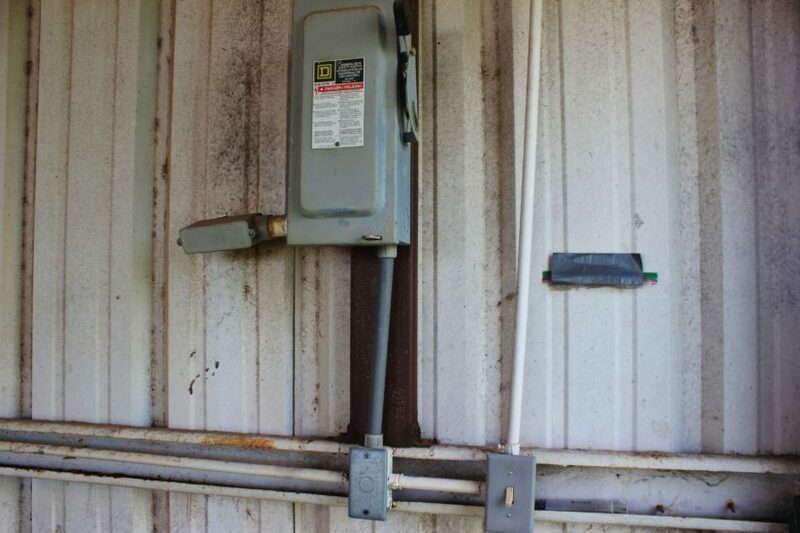 This shed has electricity and water ran back to it. 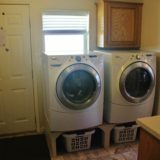 It has doors that can be closed off to block a cold wind too. 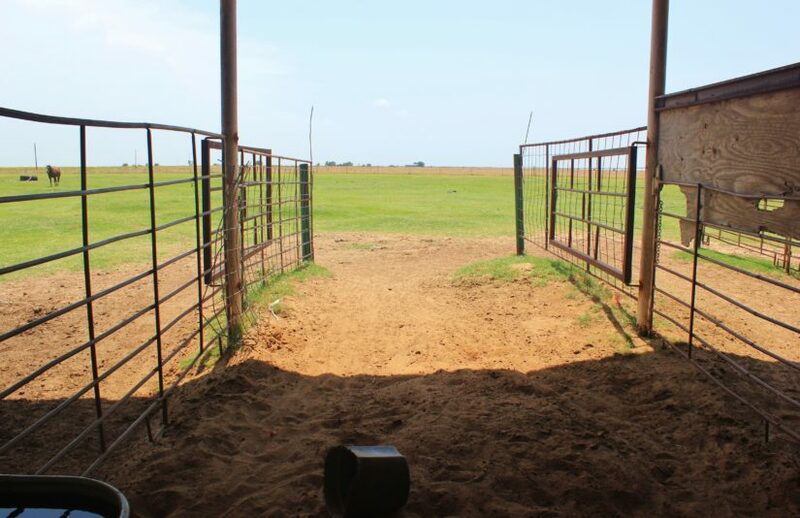 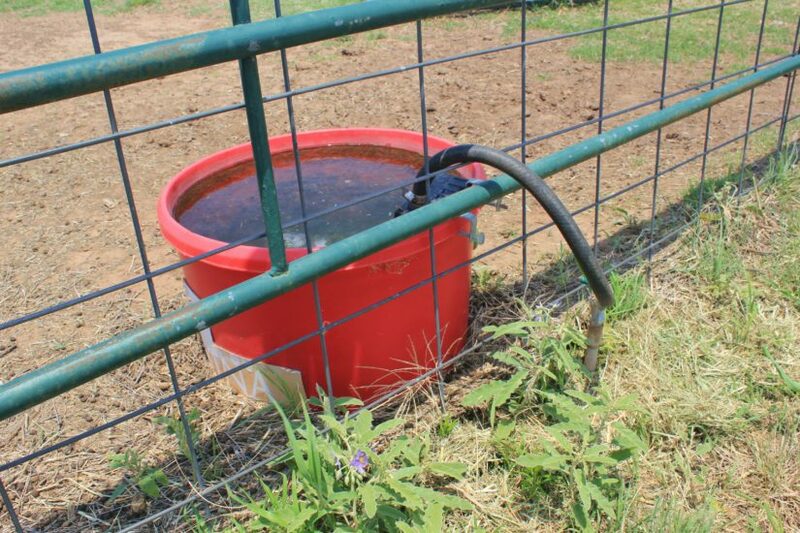 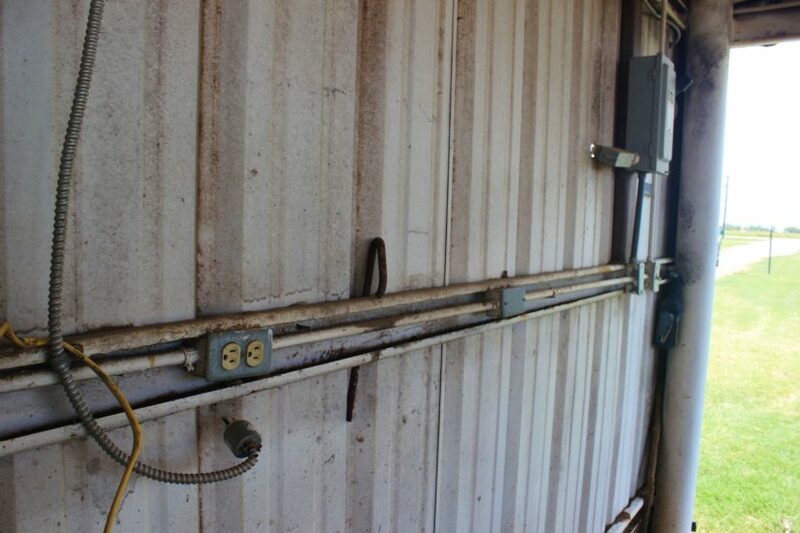 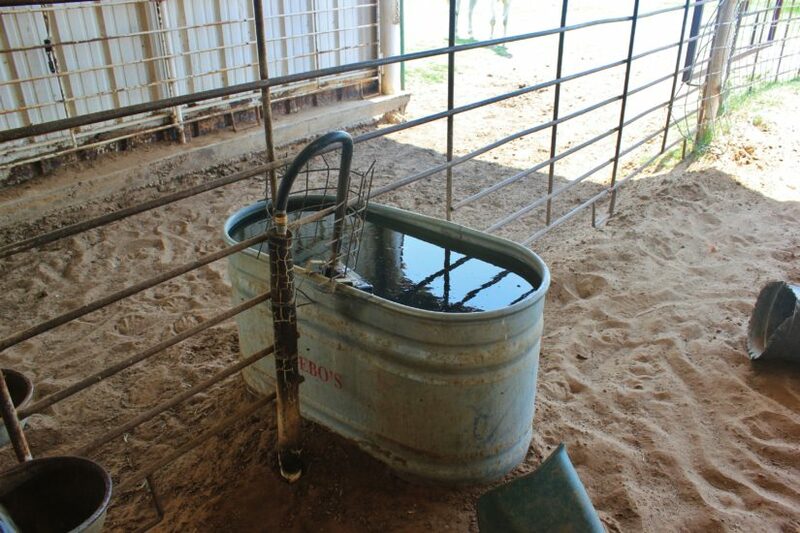 At the back of the property is a 75′ x 150′ pipe roping arena. 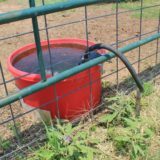 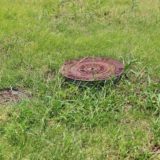 City water is ran back to it as well. 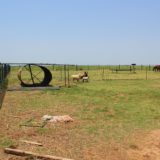 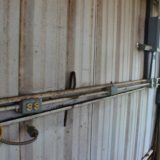 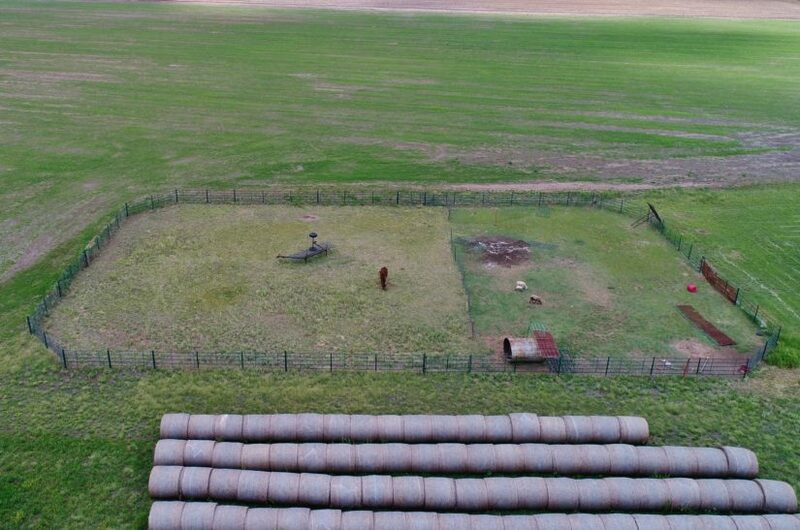 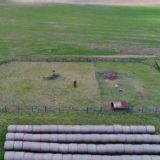 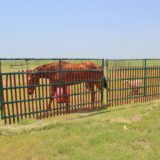 The owner currently has some removable panels installed to divide it into two pens, where he keeps a horse and some sheep. 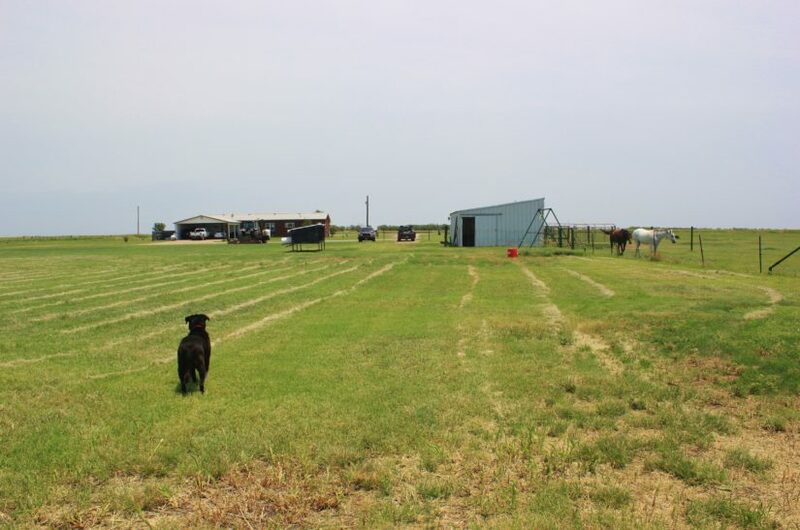 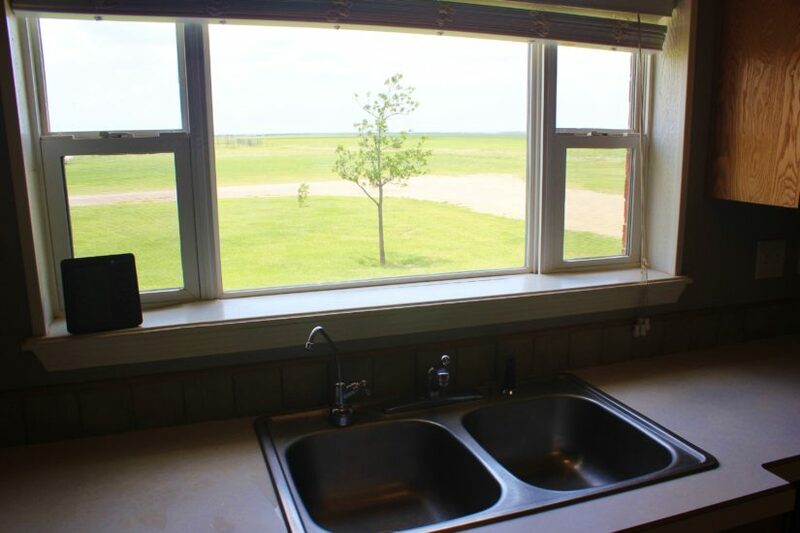 All of the improvements sit on approximately 8.5 acres, out of a total 106 acre farm. 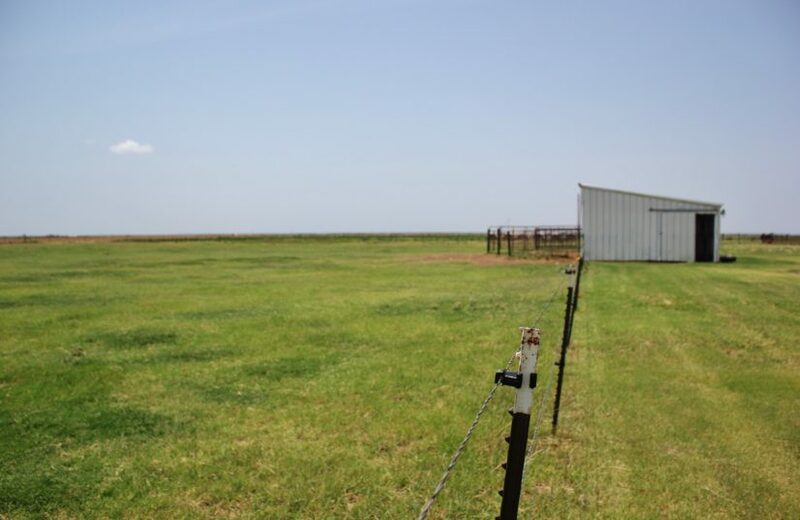 At the List Price, the owner will survey out the 8.5 acres and keep the rest of the land. 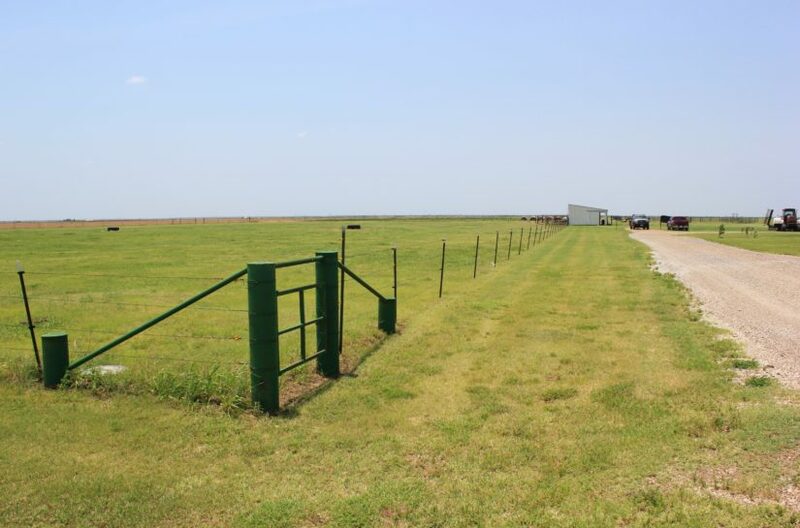 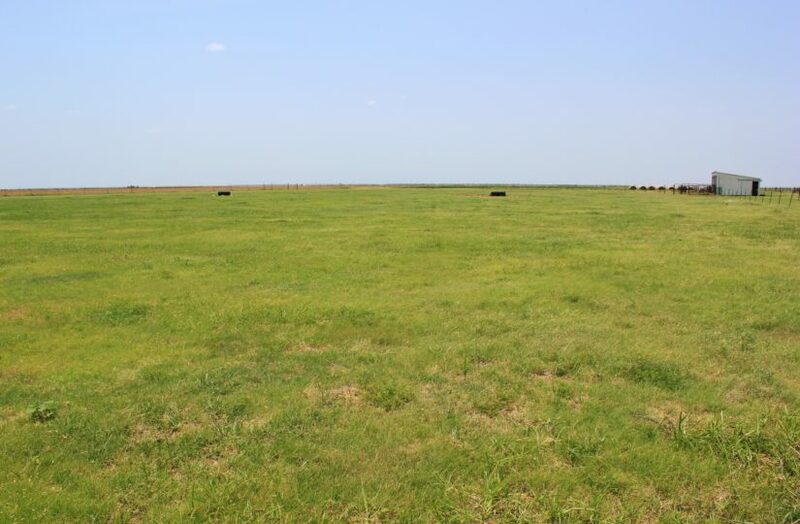 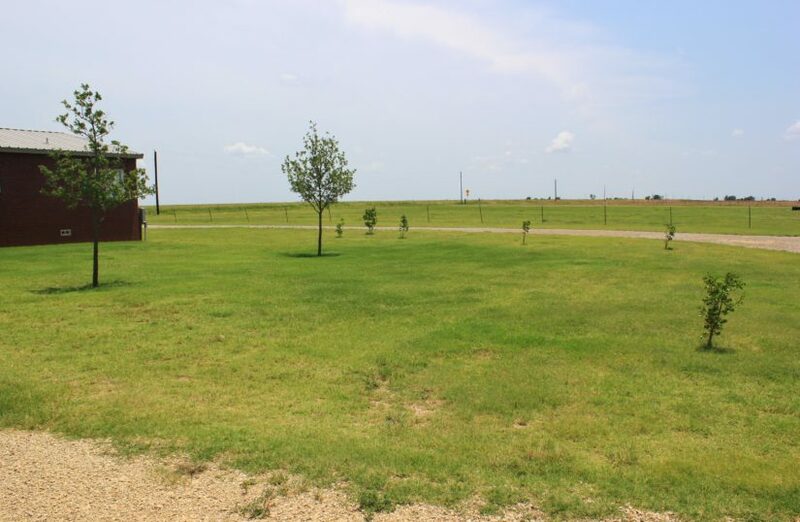 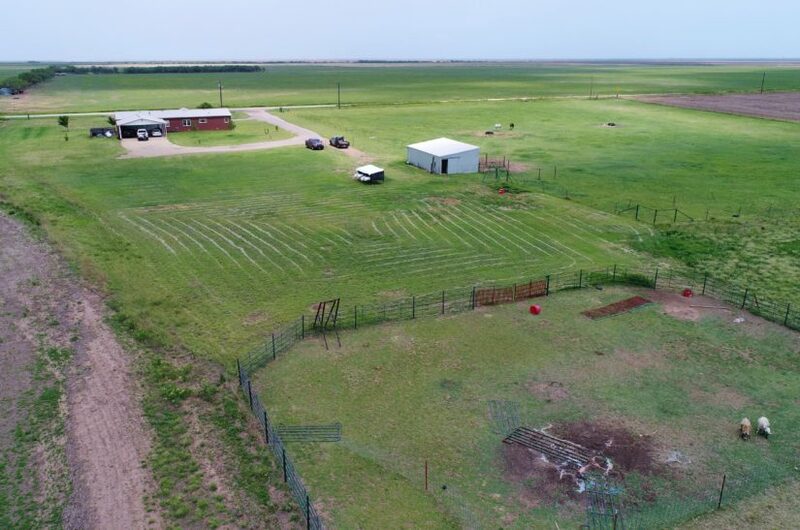 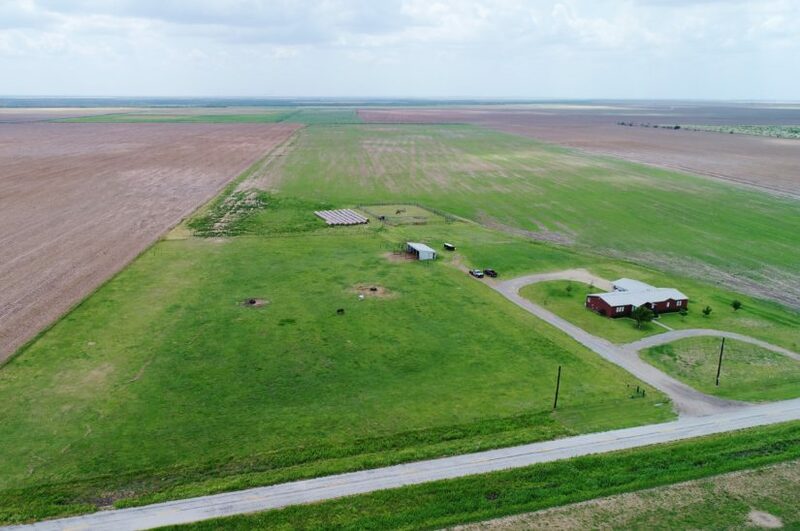 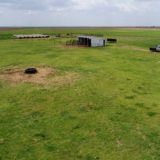 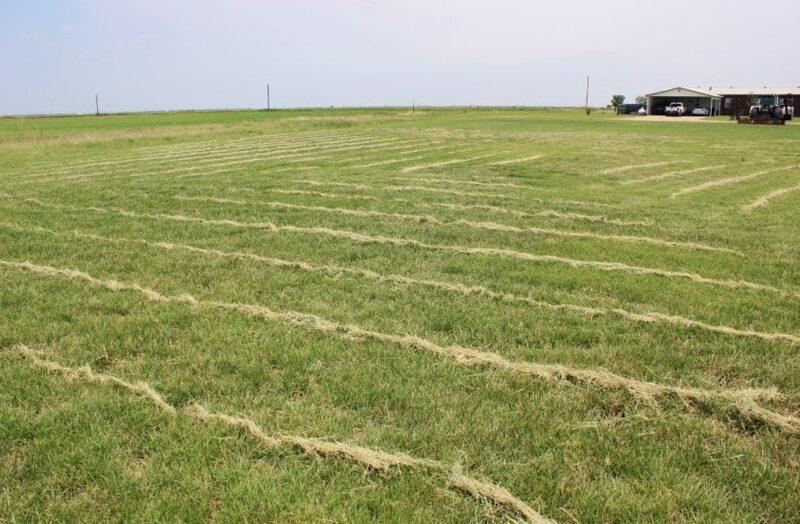 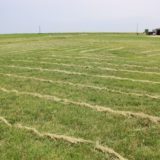 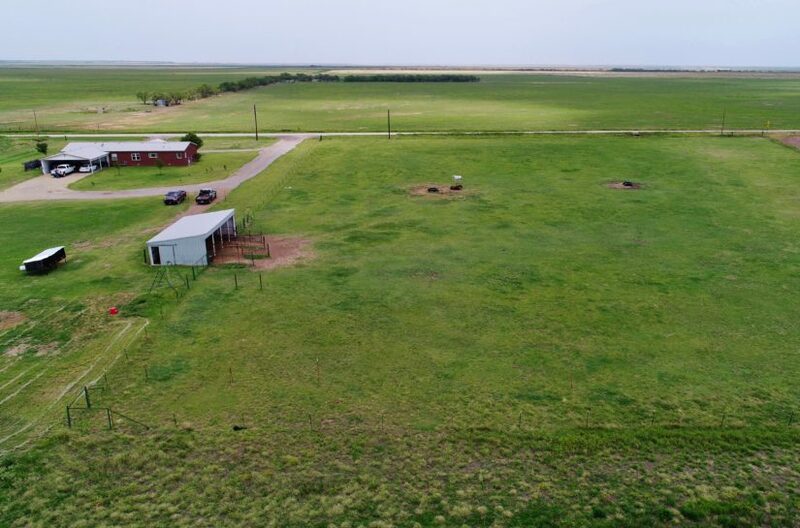 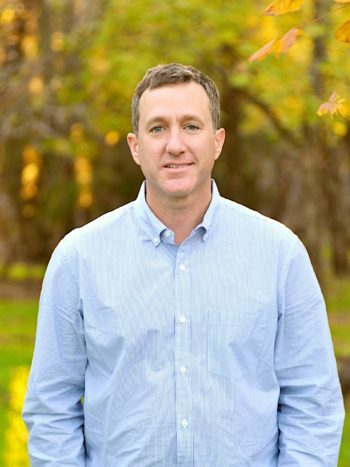 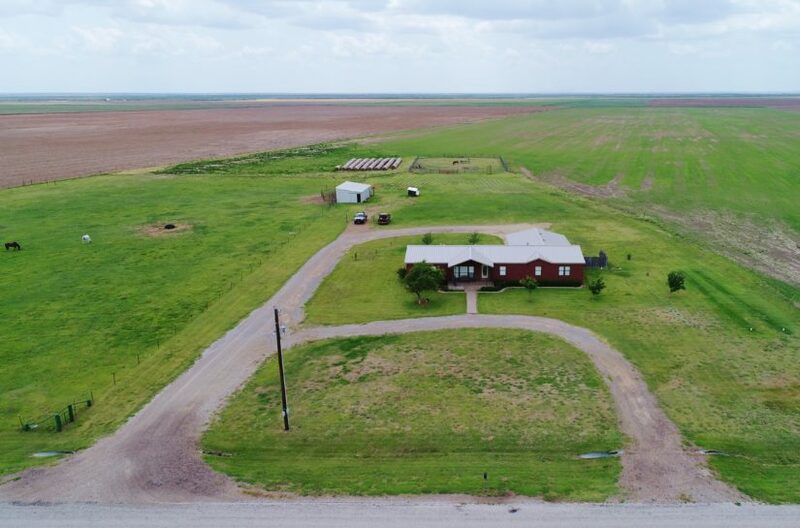 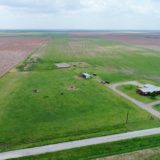 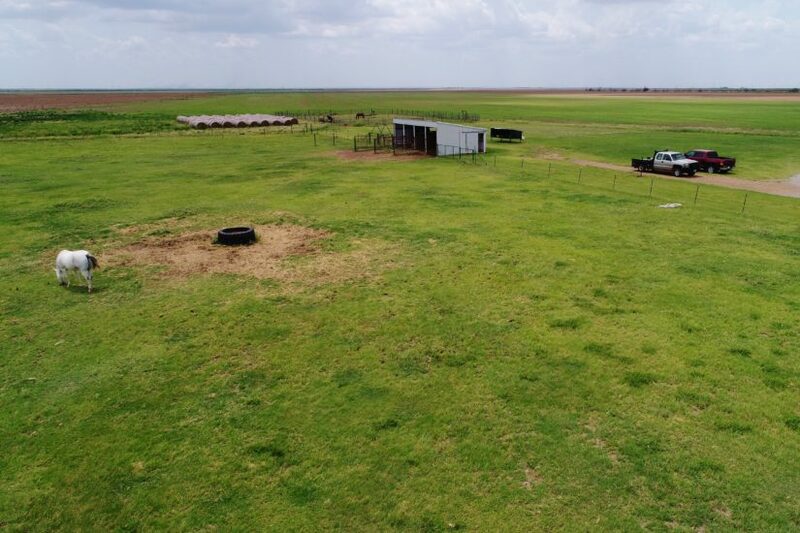 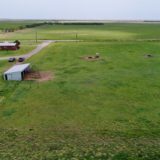 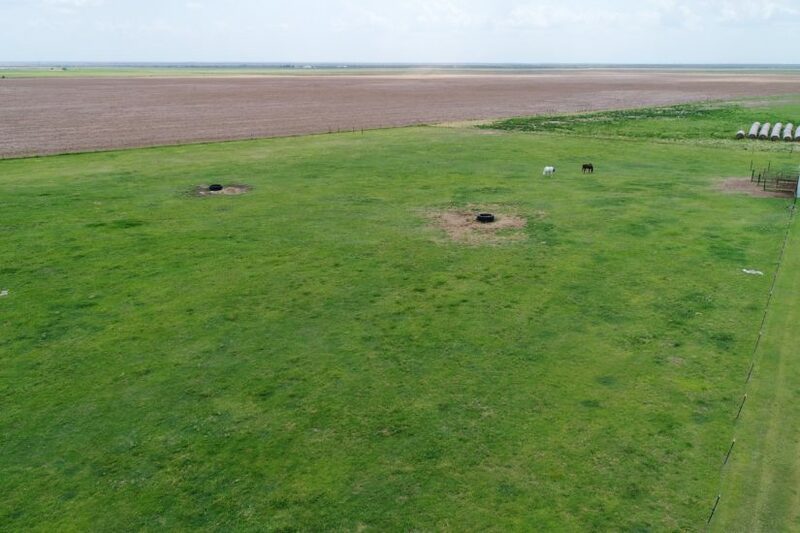 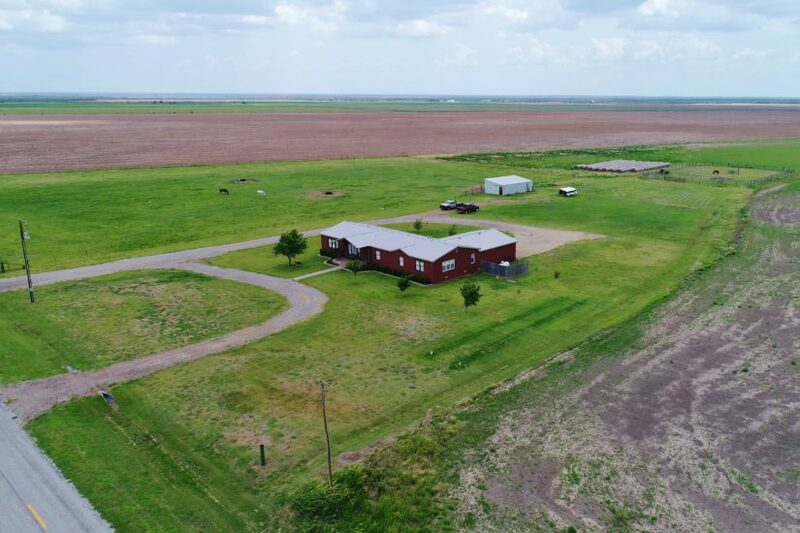 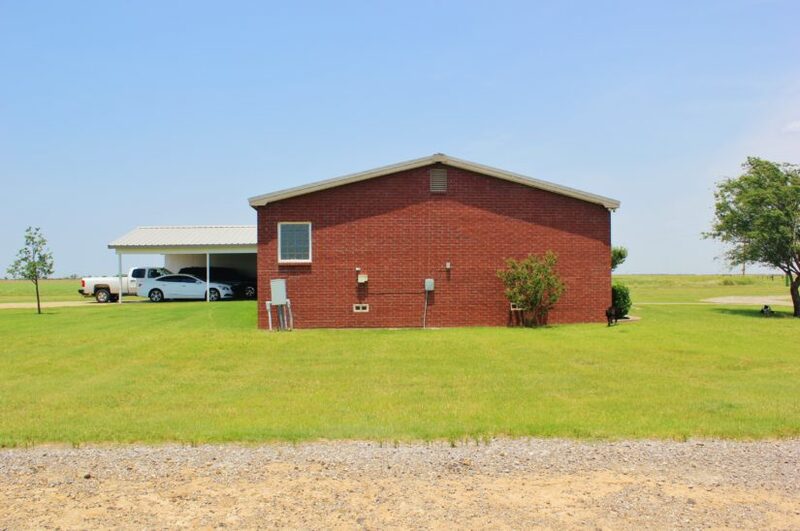 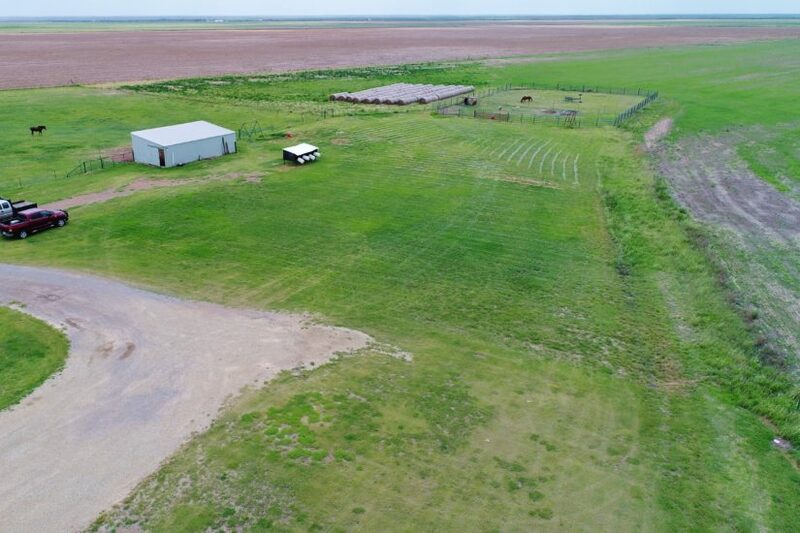 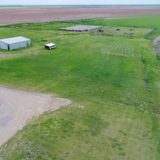 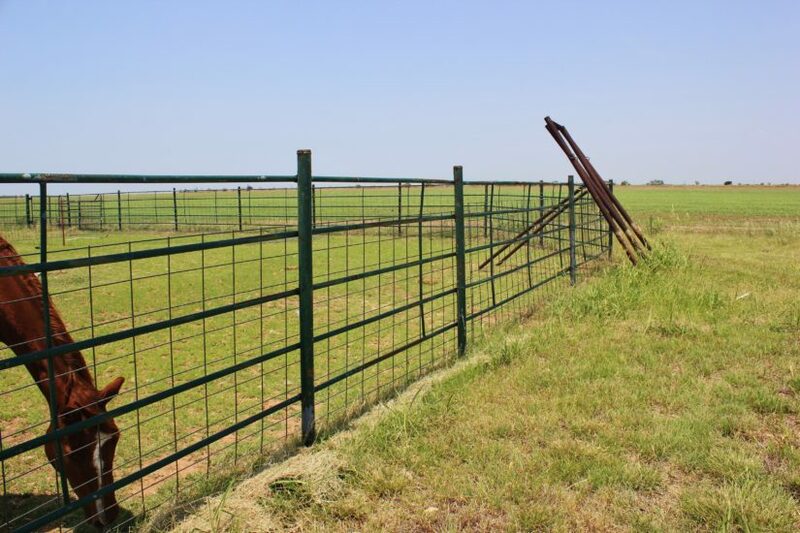 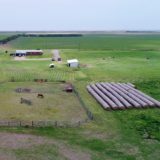 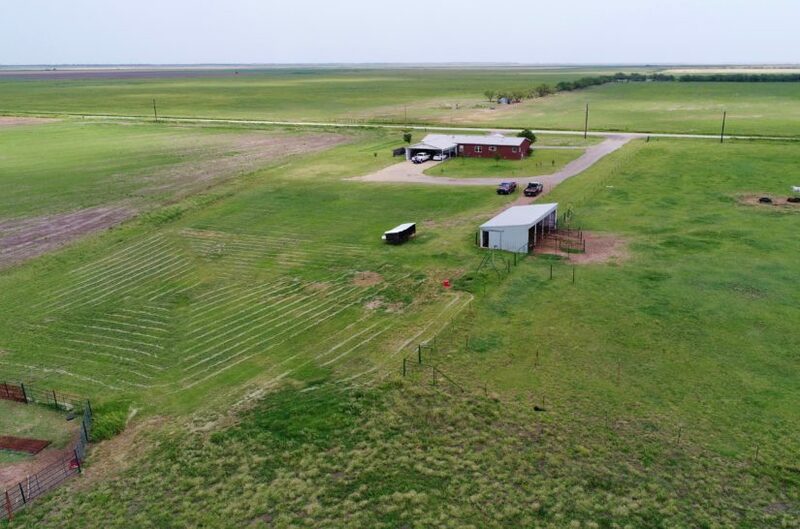 If the buyer wants additional acres, they can be purchased at a rate of $1,000/acre for up to 20 total acres; if any more than this are wanted, the owner will require the whole farm to be purchased. 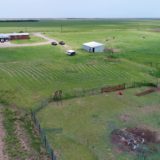 The rest of the acreage is tillable farm land, with no fencing or other improvements. 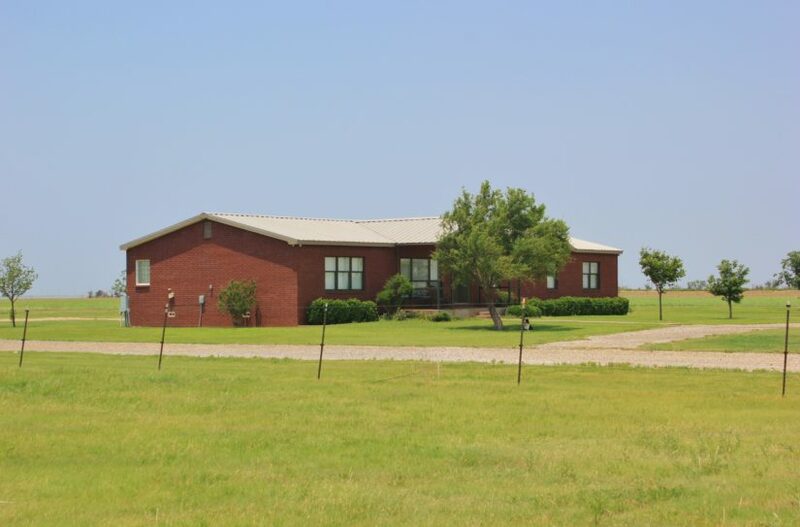 For more information or to schedule your private viewing, contact agent Benjamin Belew at cell phone (940) 357-9940.